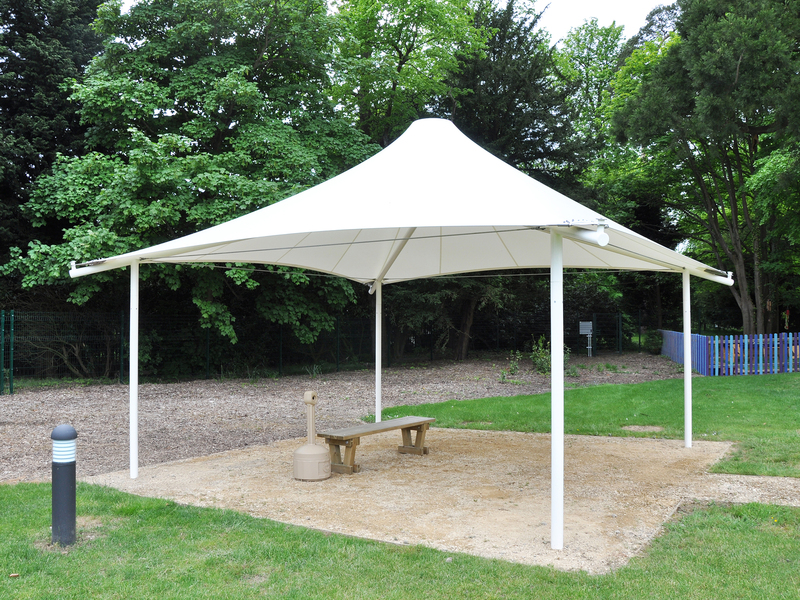 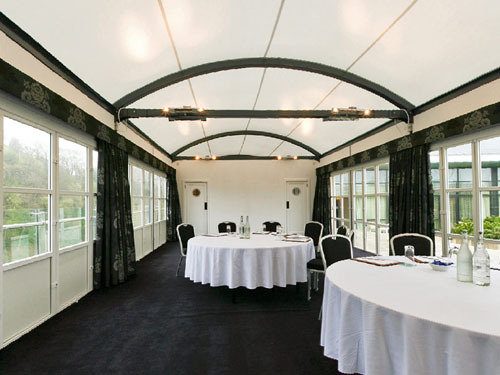 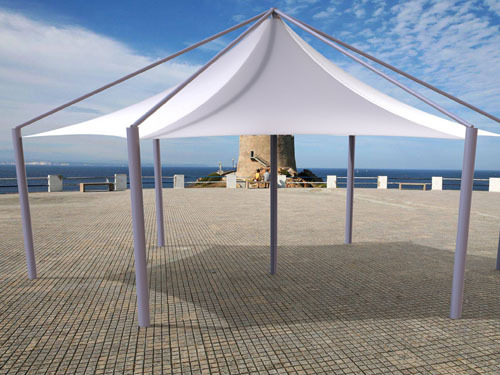 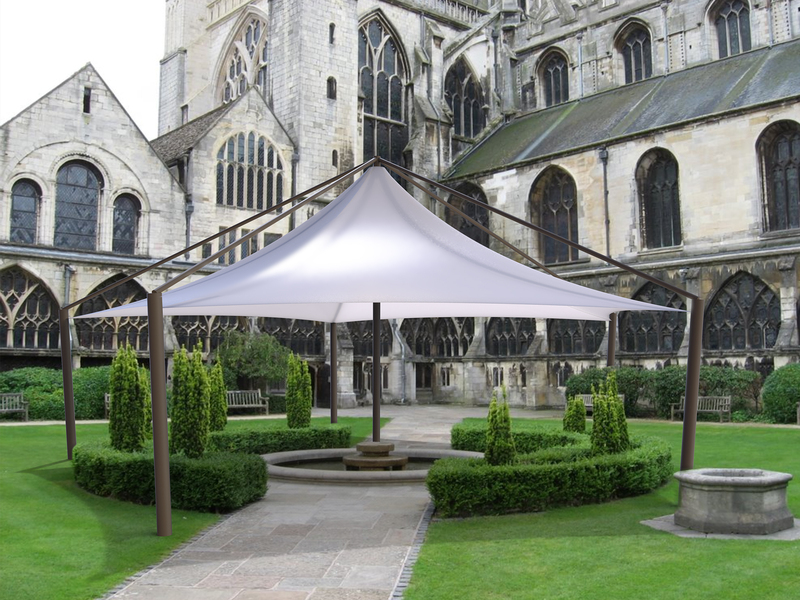 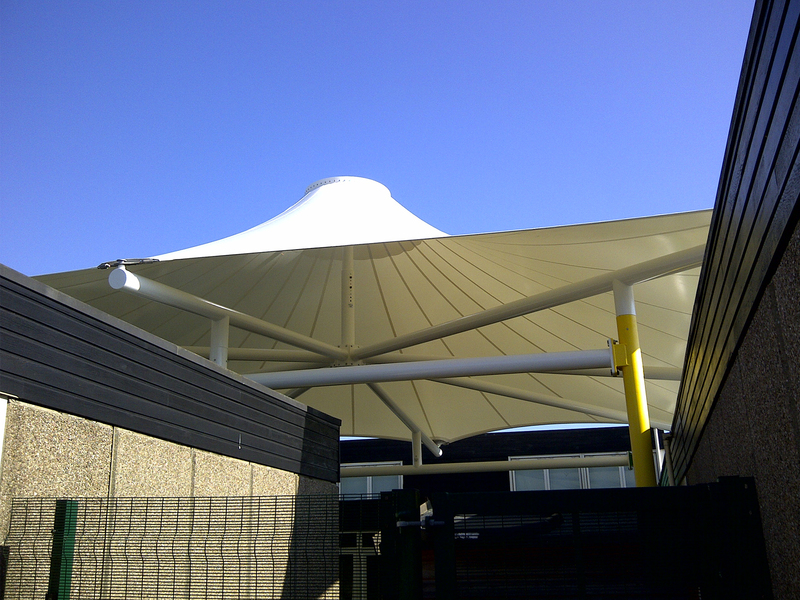 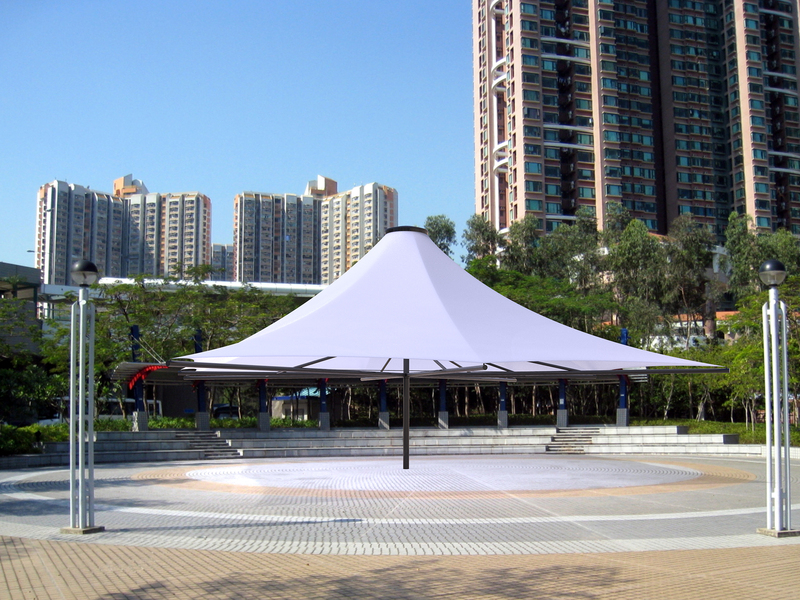 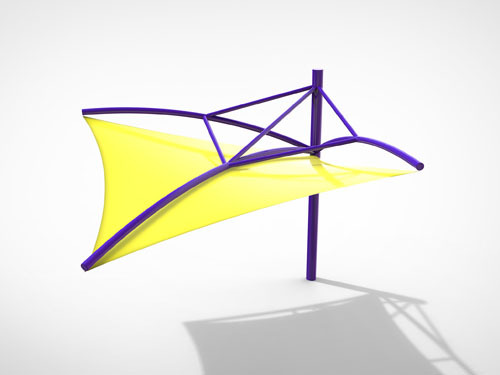 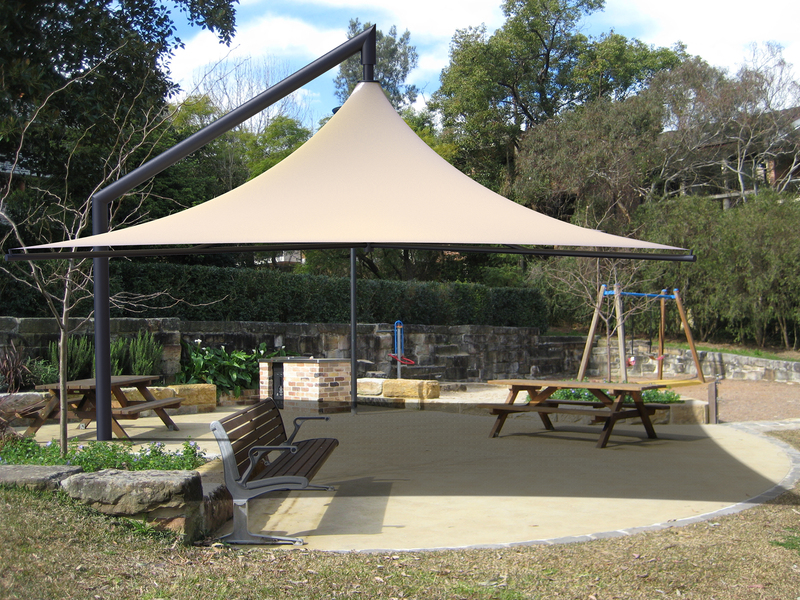 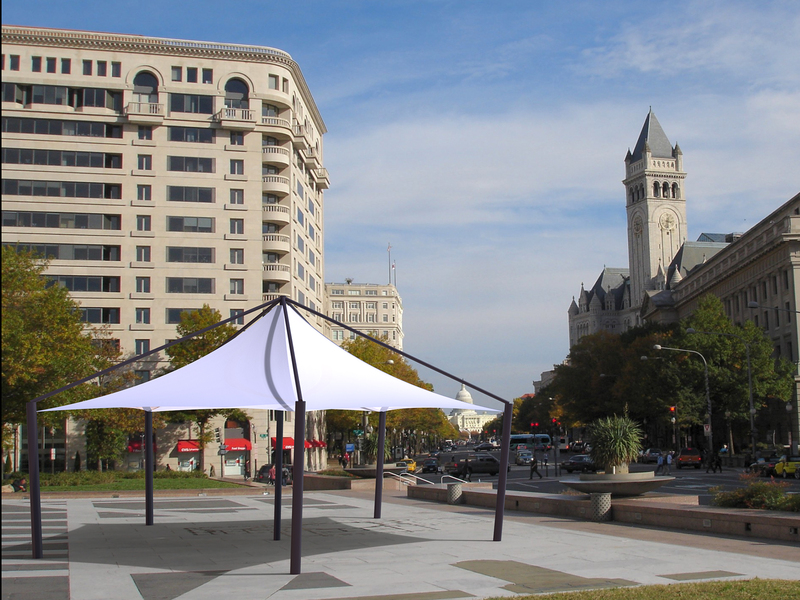 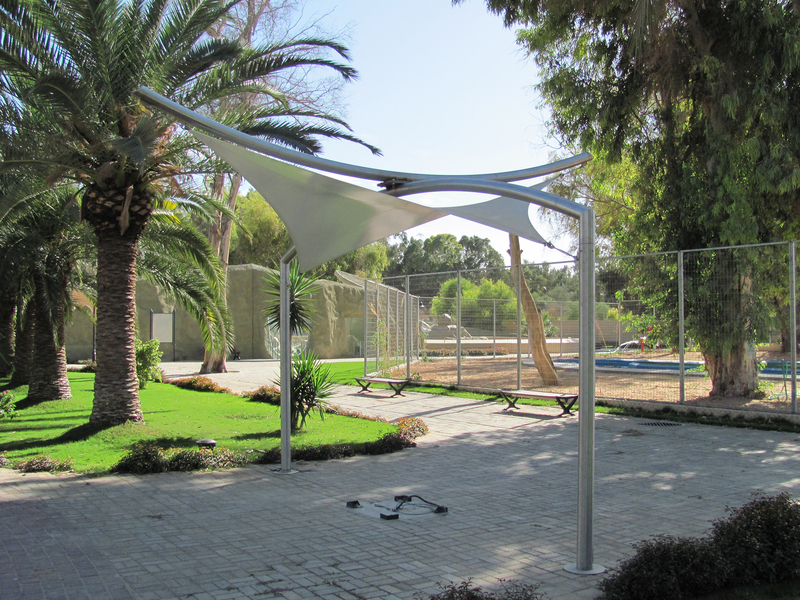 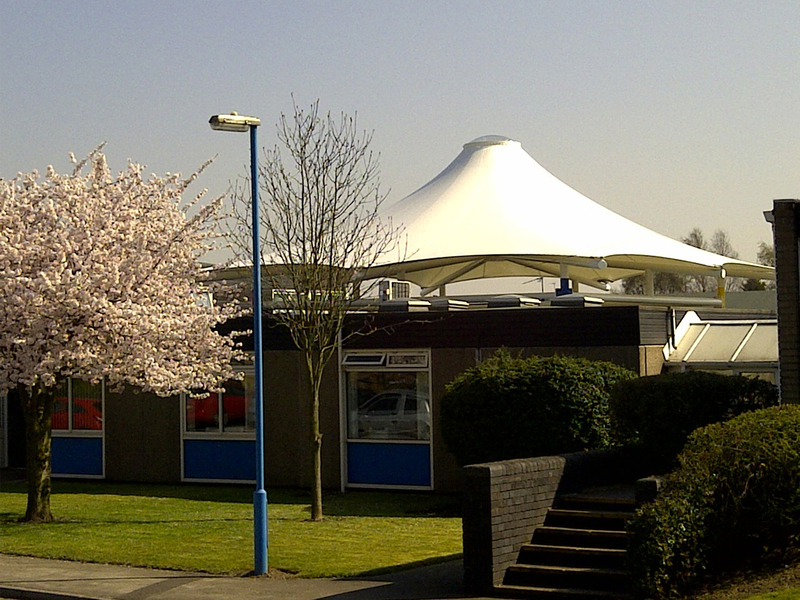 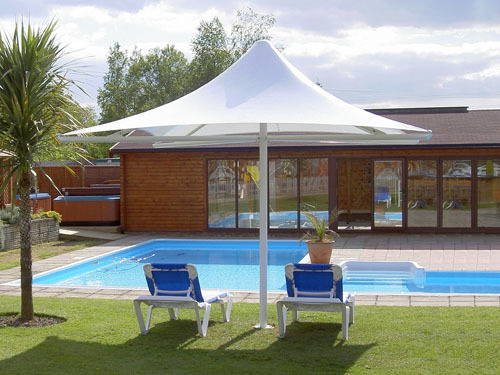 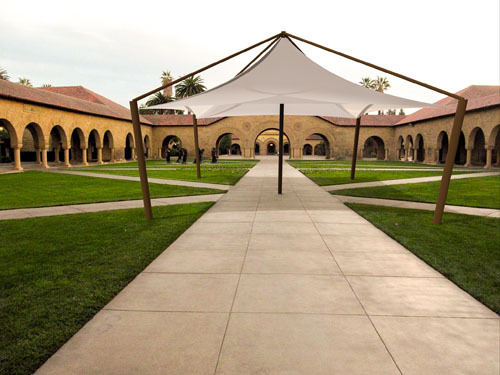 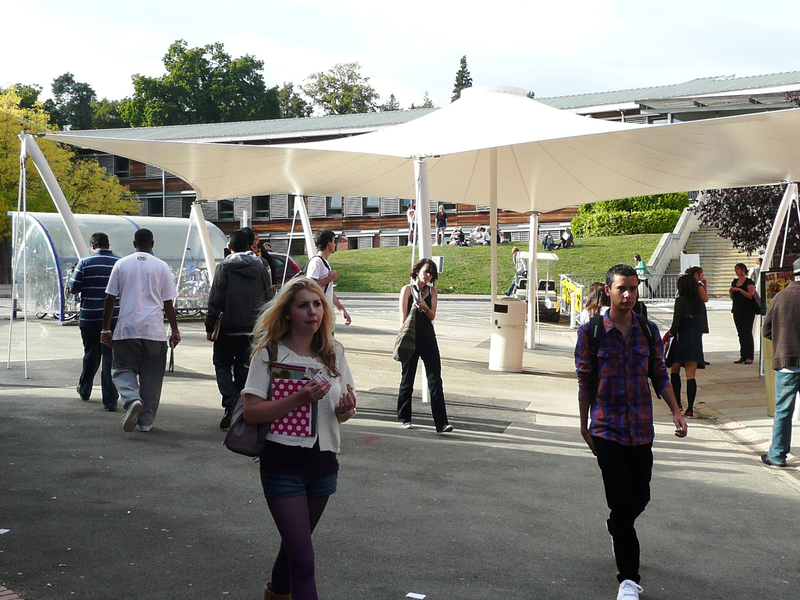 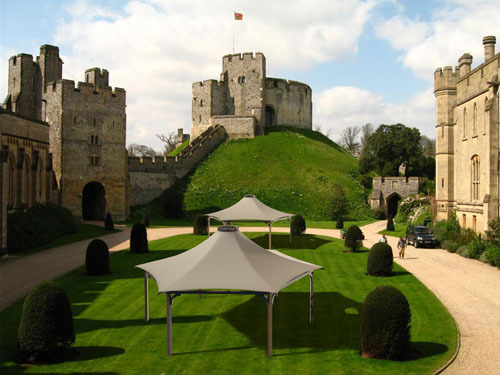 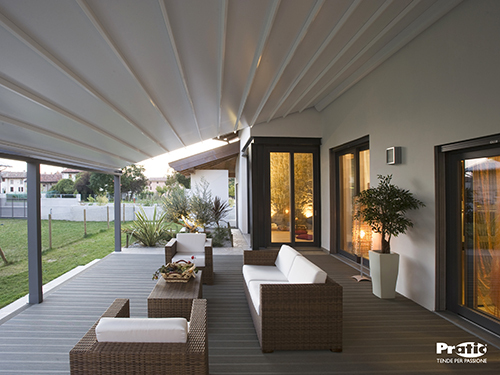 Why choose a tensile fabric structure? 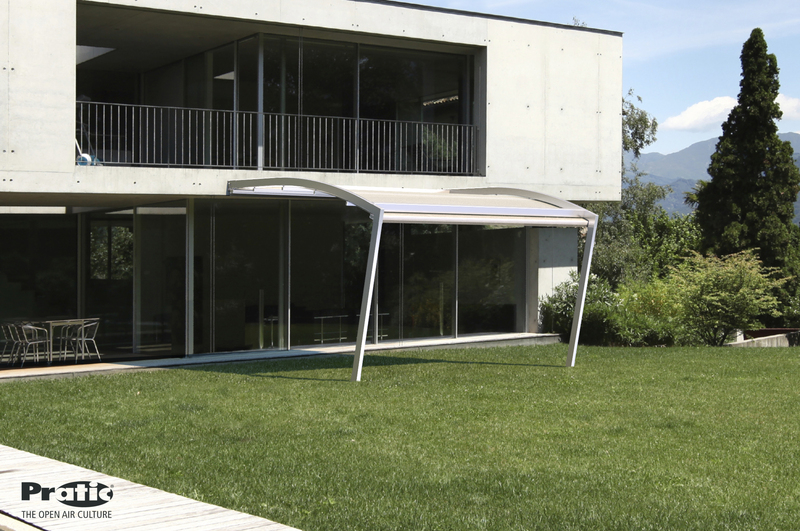 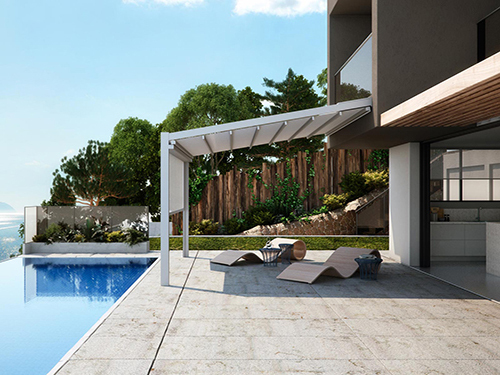 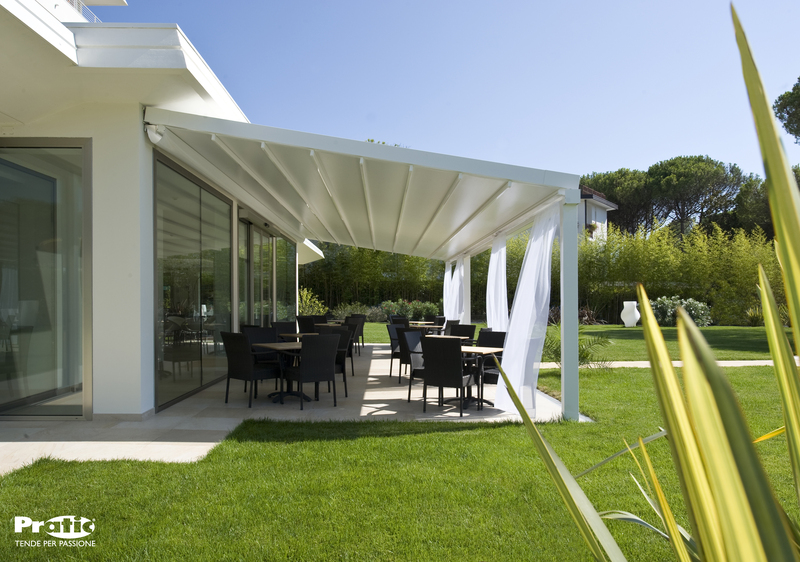 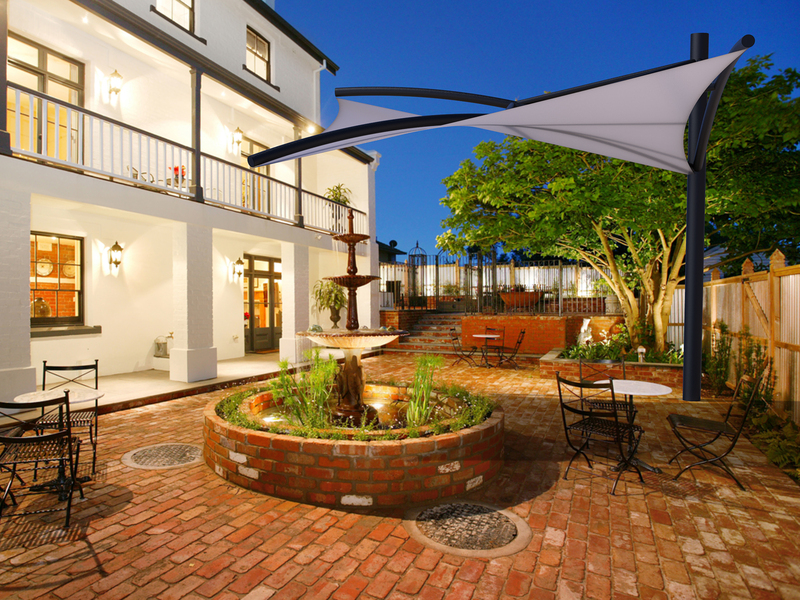 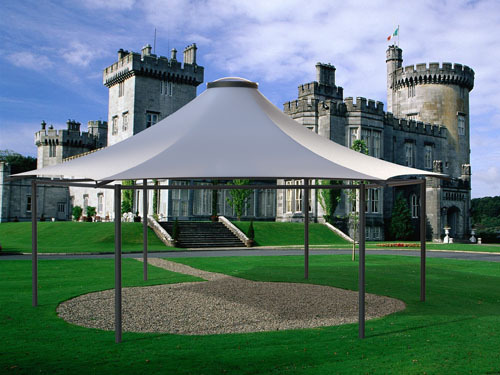 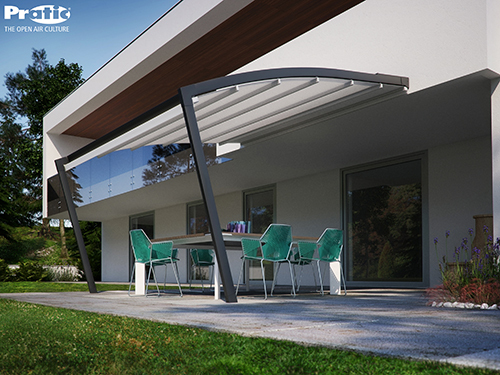 A Tensile Fabric Structure provides much more than just a shade, it’s a thing of beauty, optimising geometric shapes with complex curves; yet it is engineered to last for many years bringing prestige and sophistication to any location. 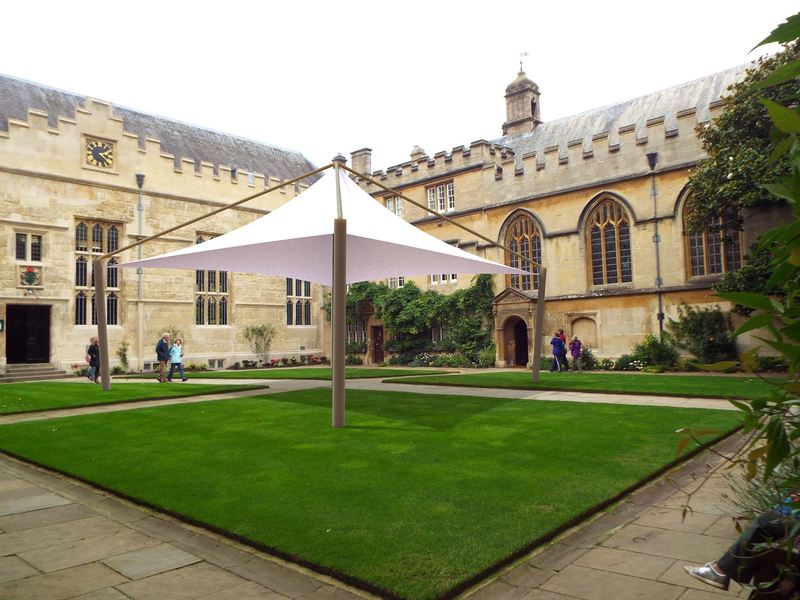 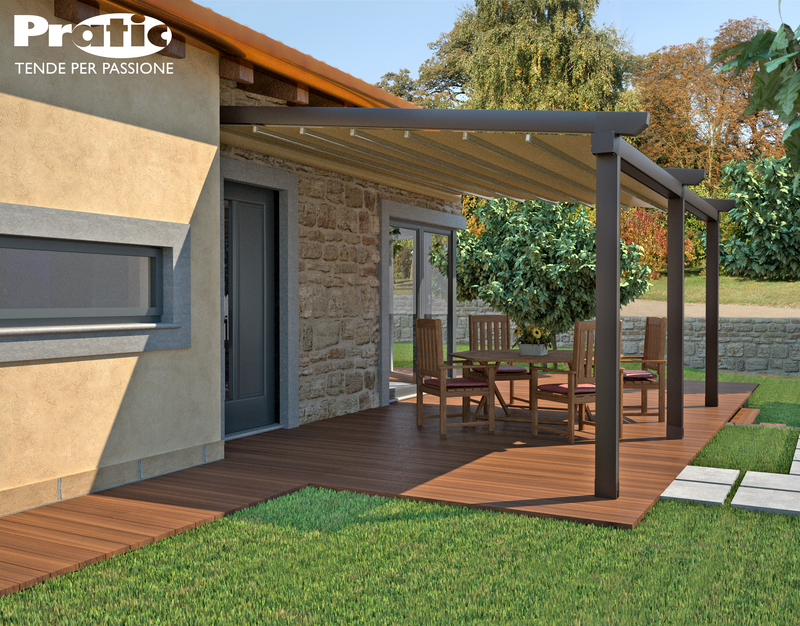 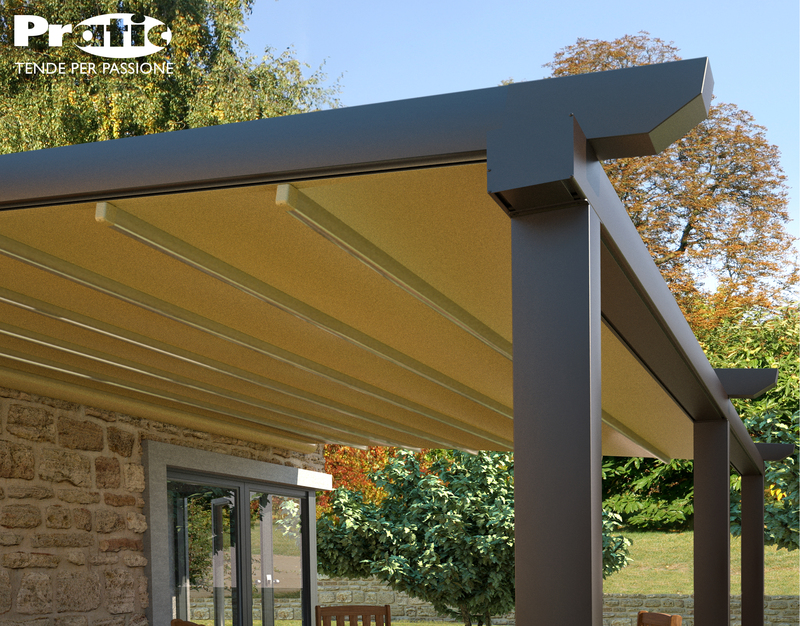 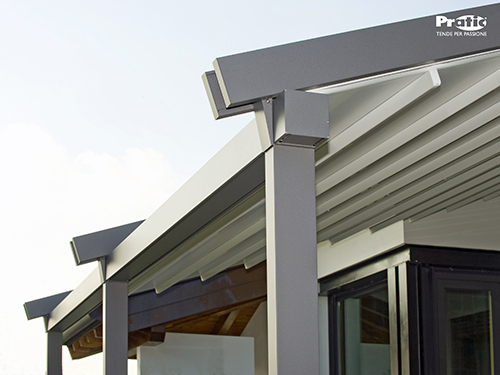 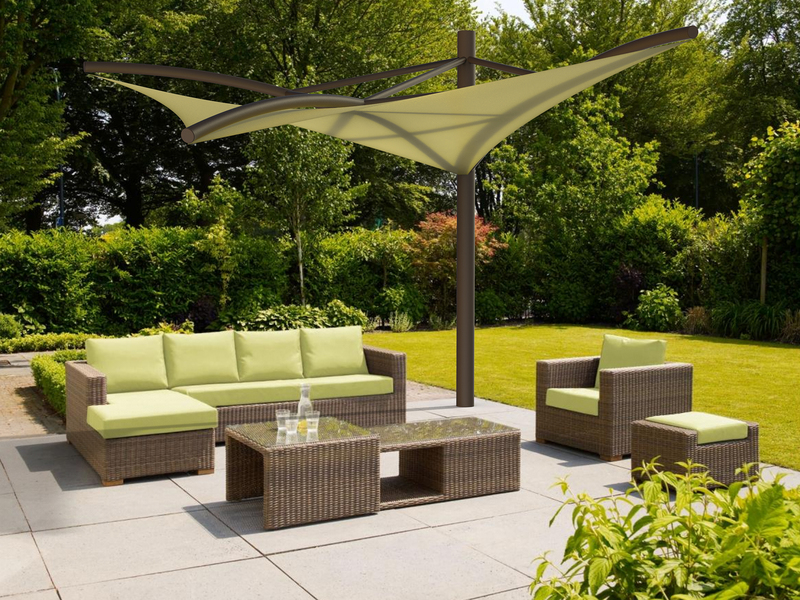 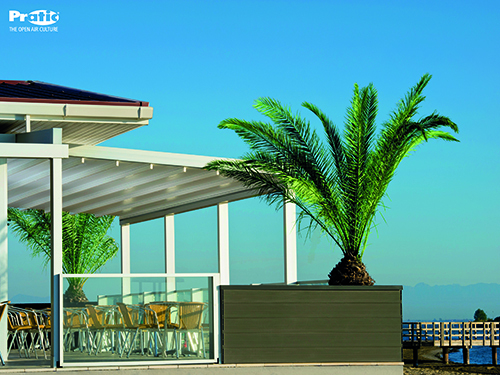 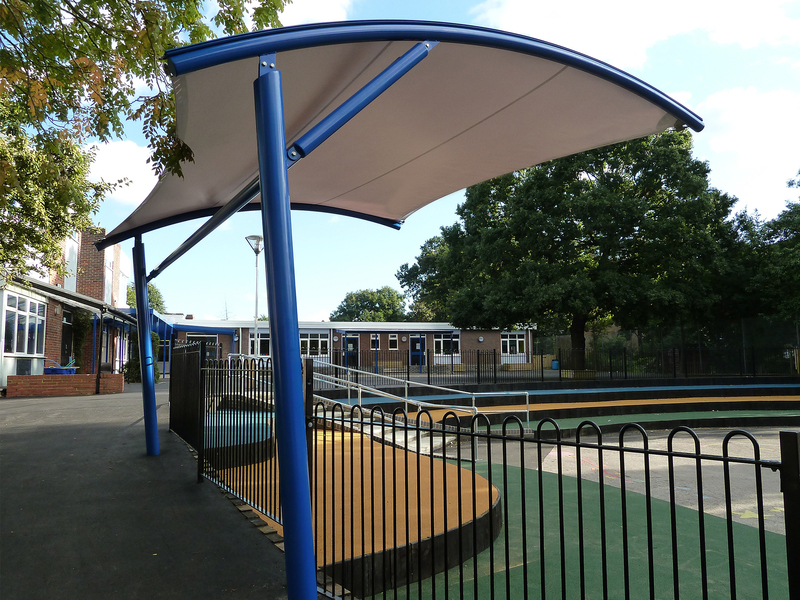 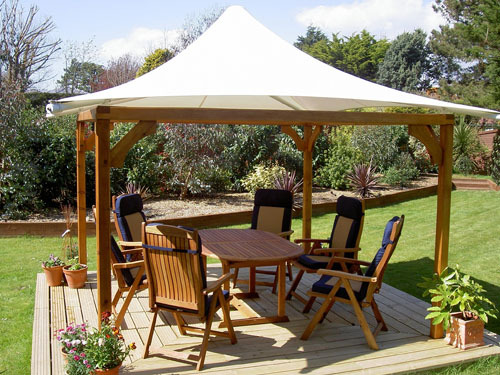 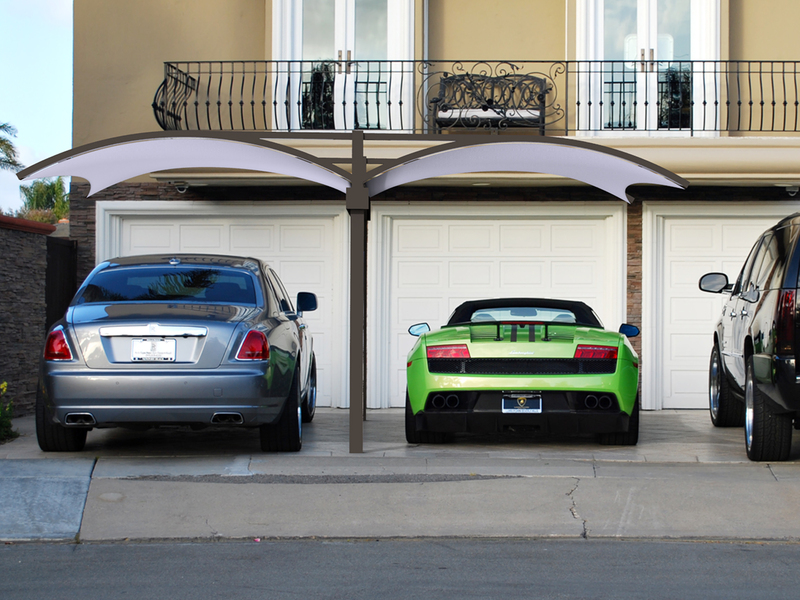 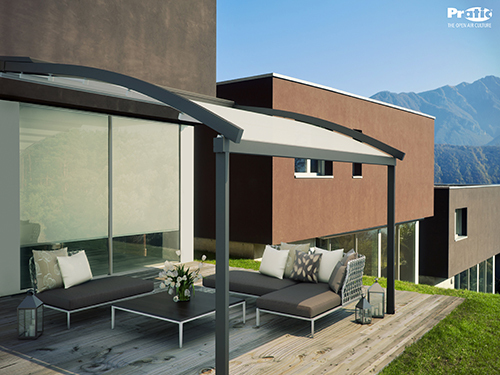 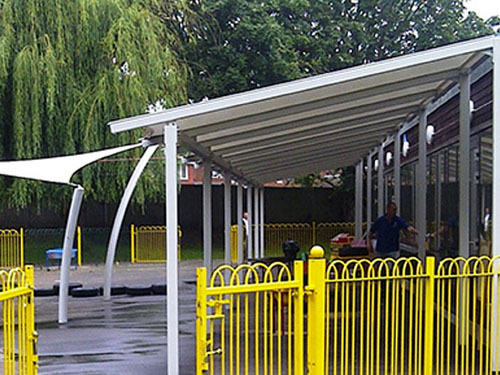 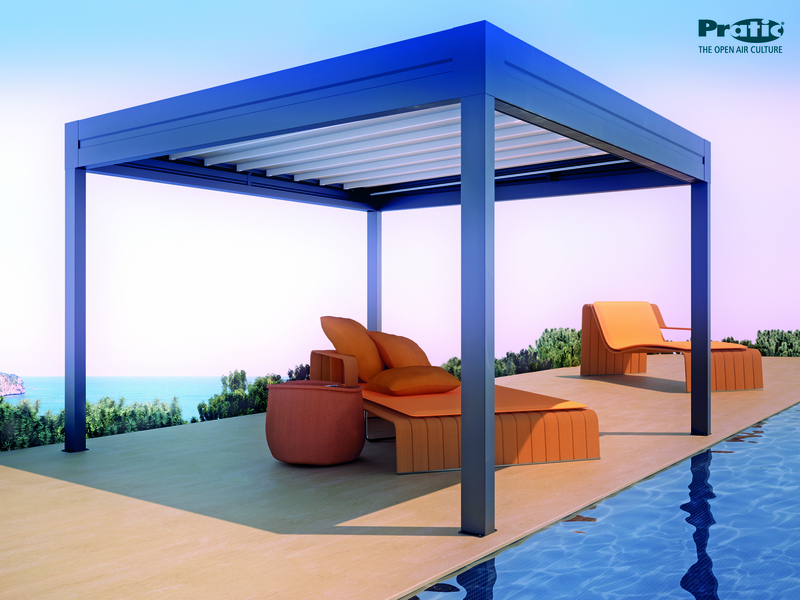 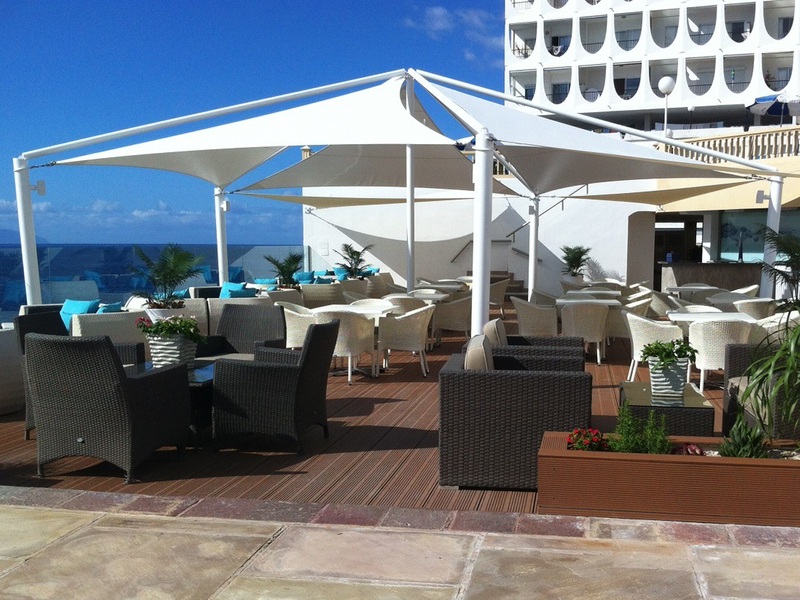 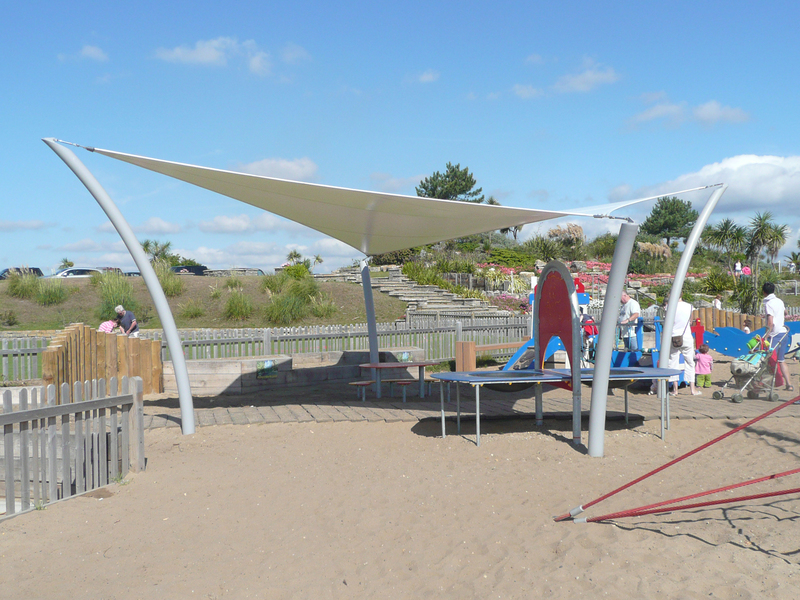 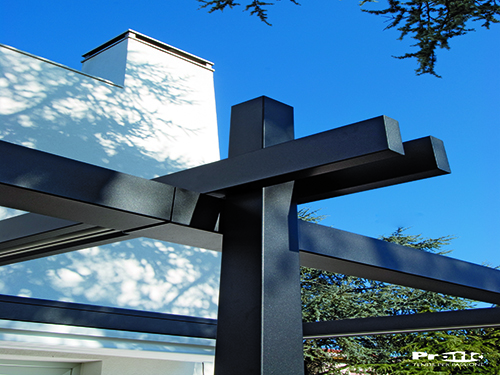 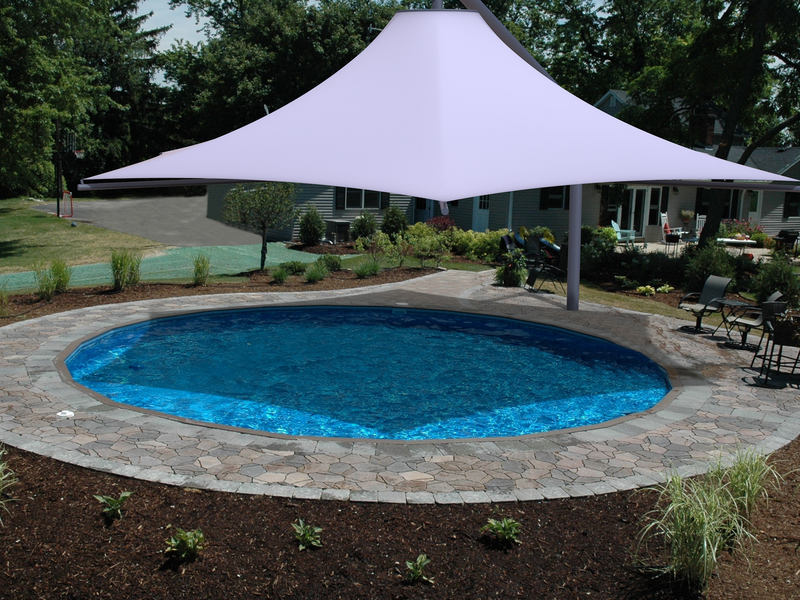 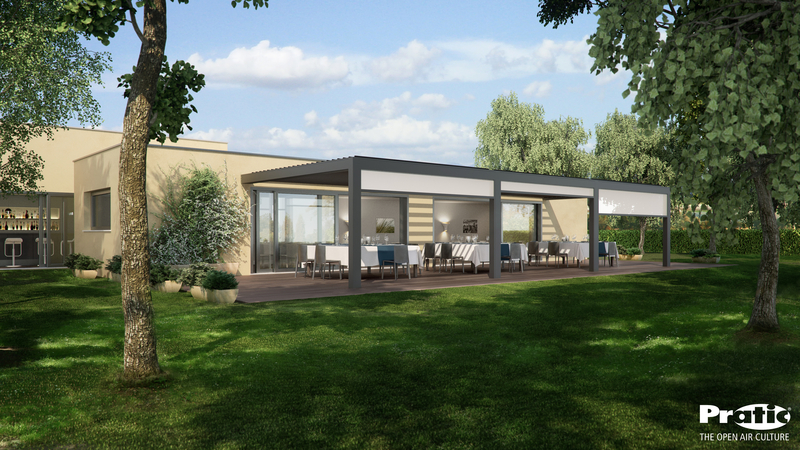 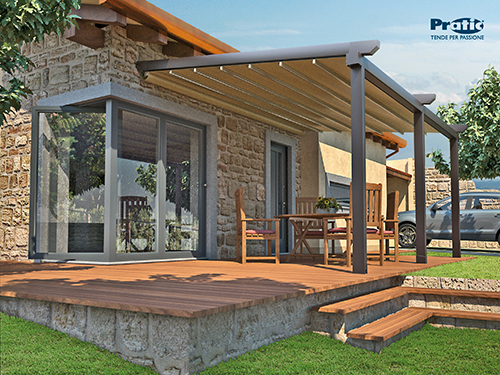 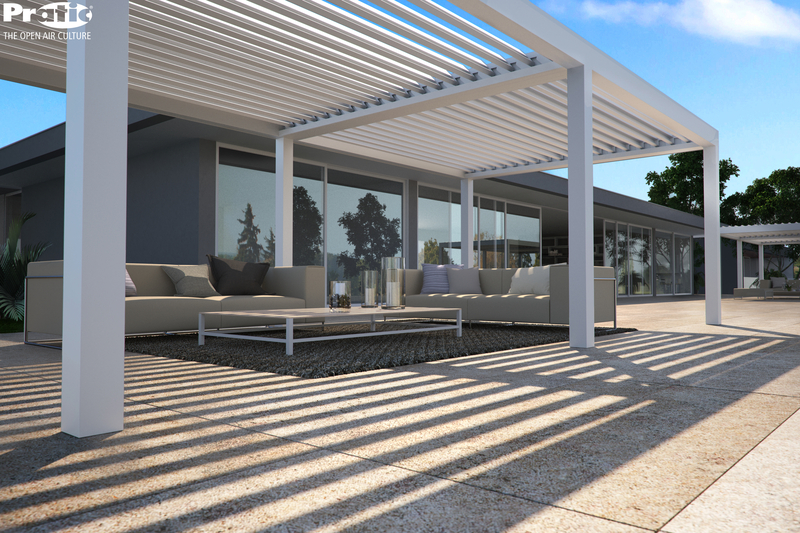 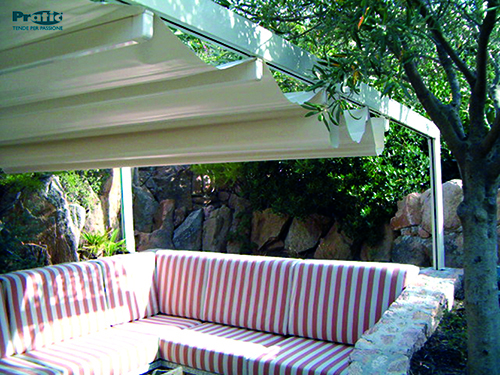 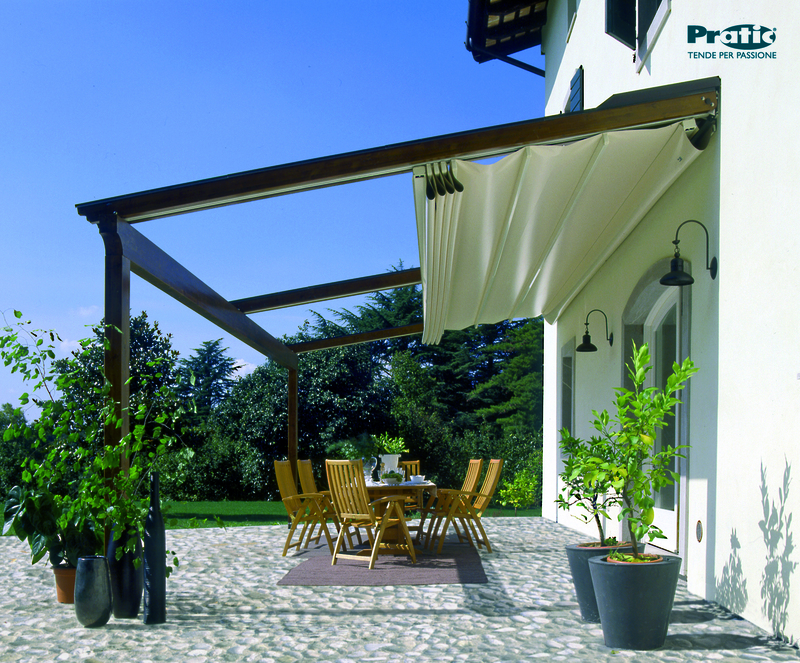 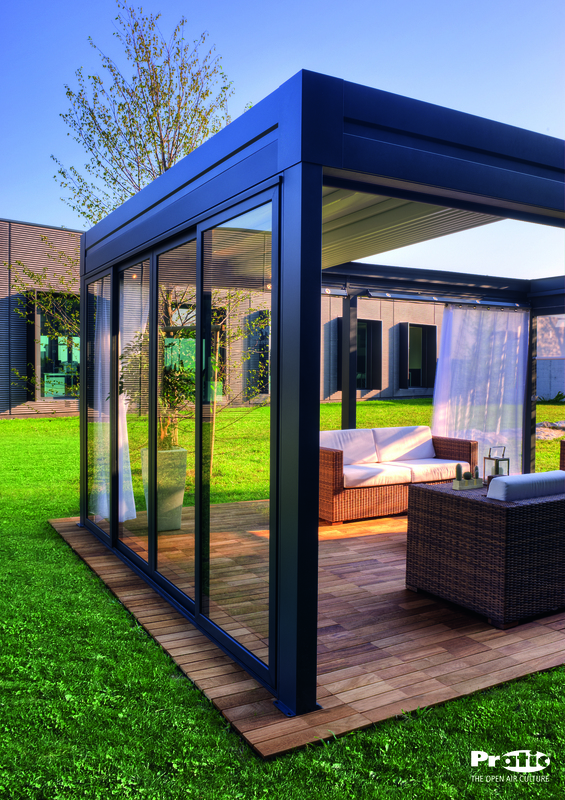 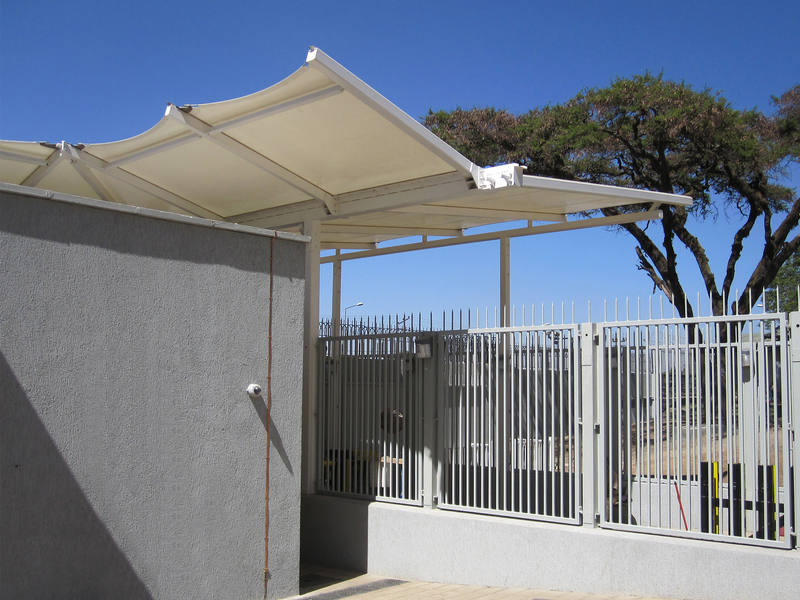 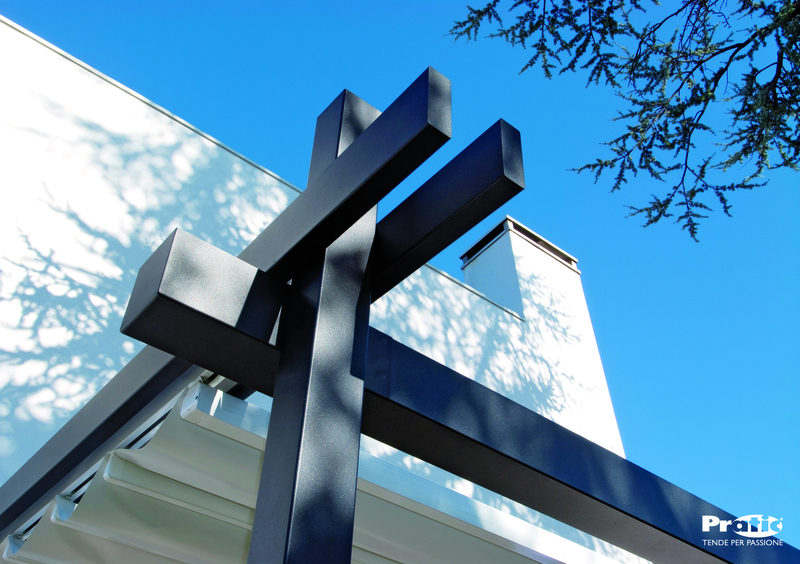 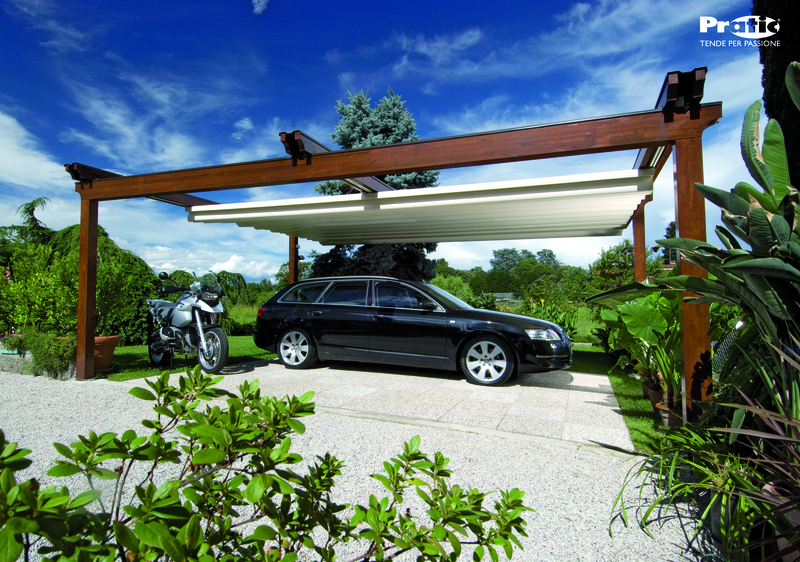 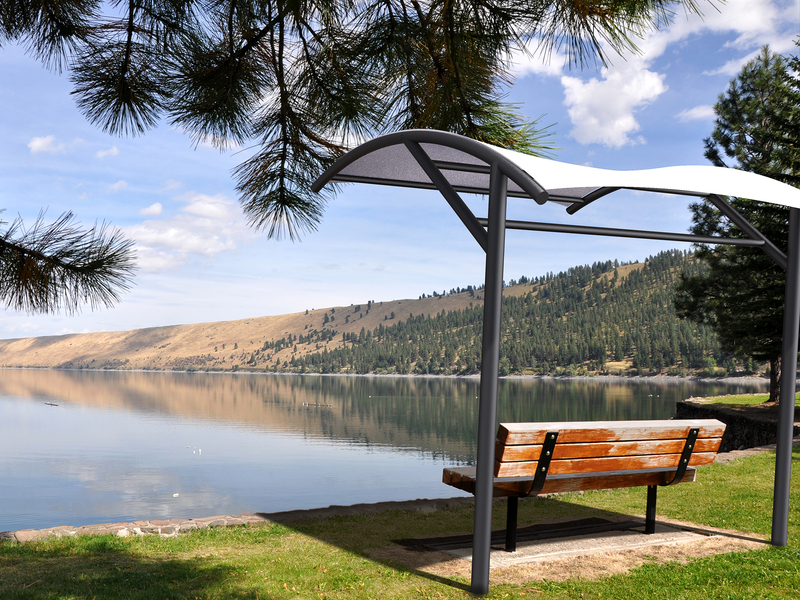 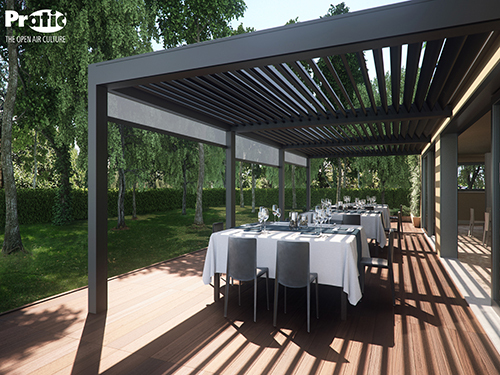 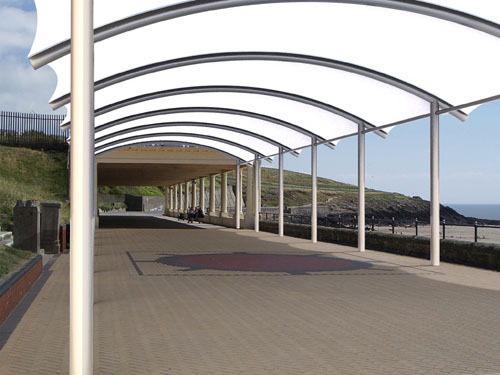 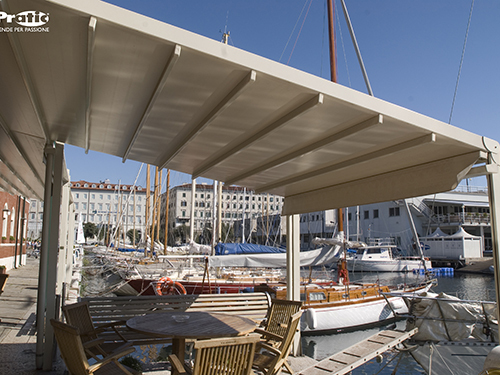 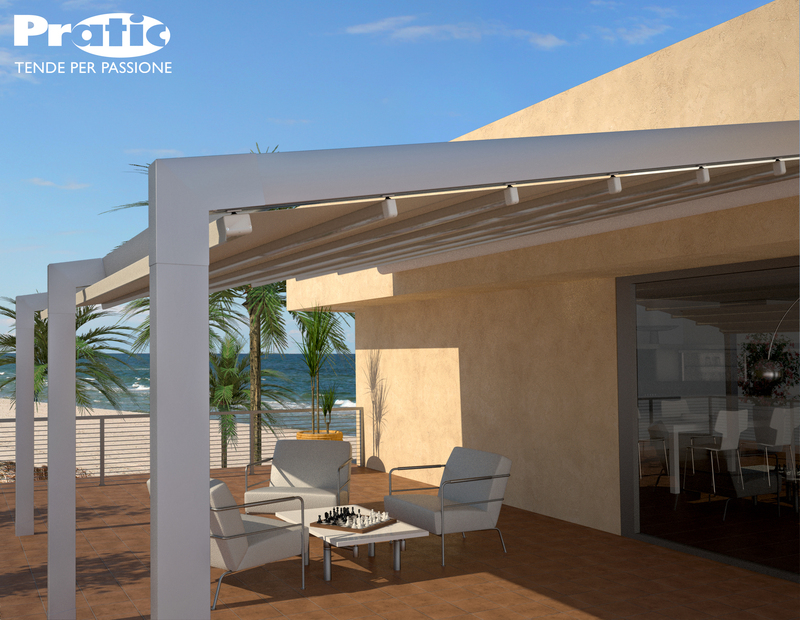 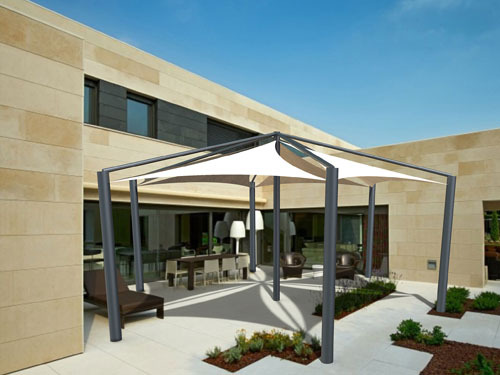 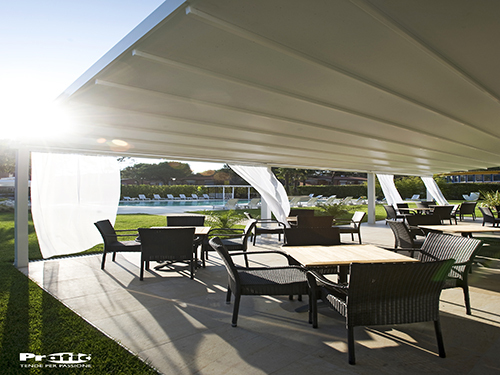 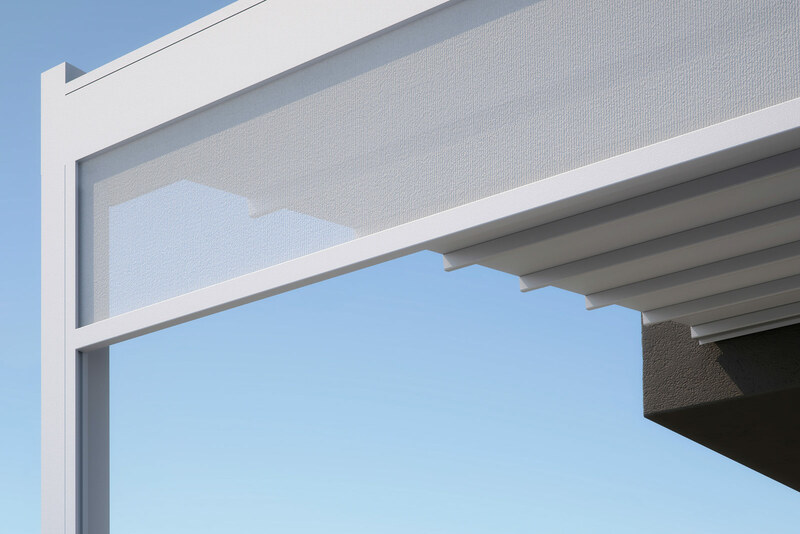 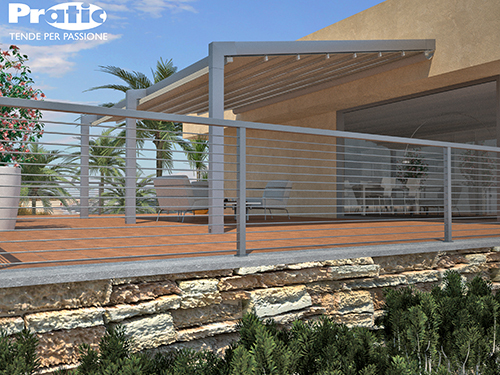 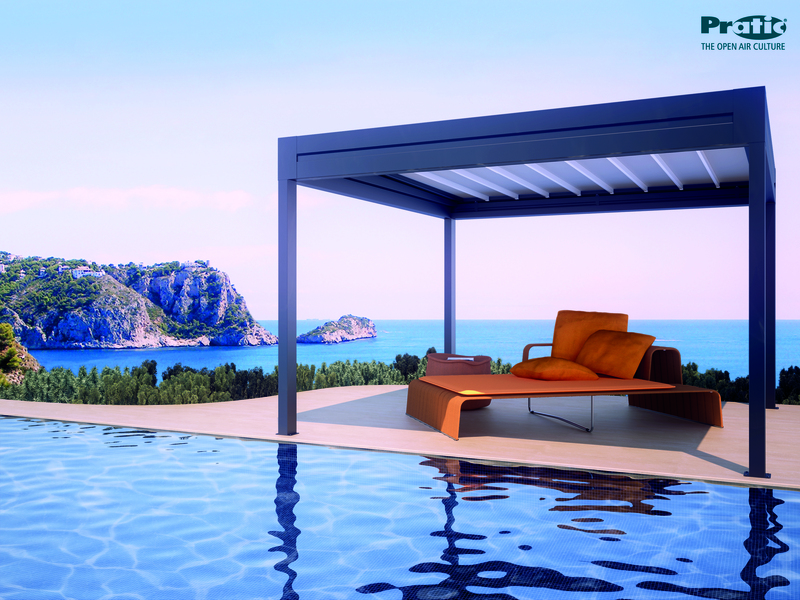 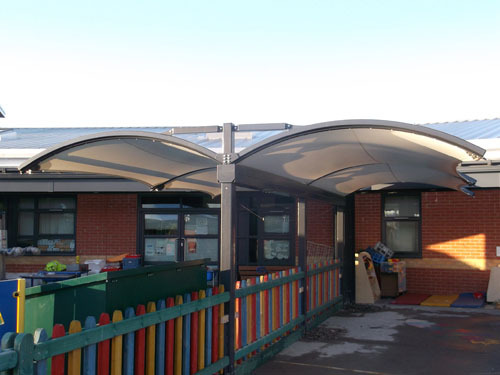 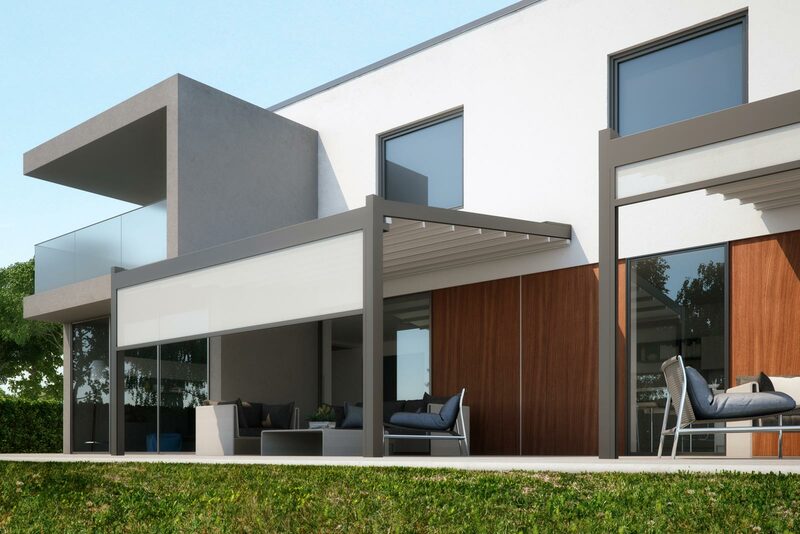 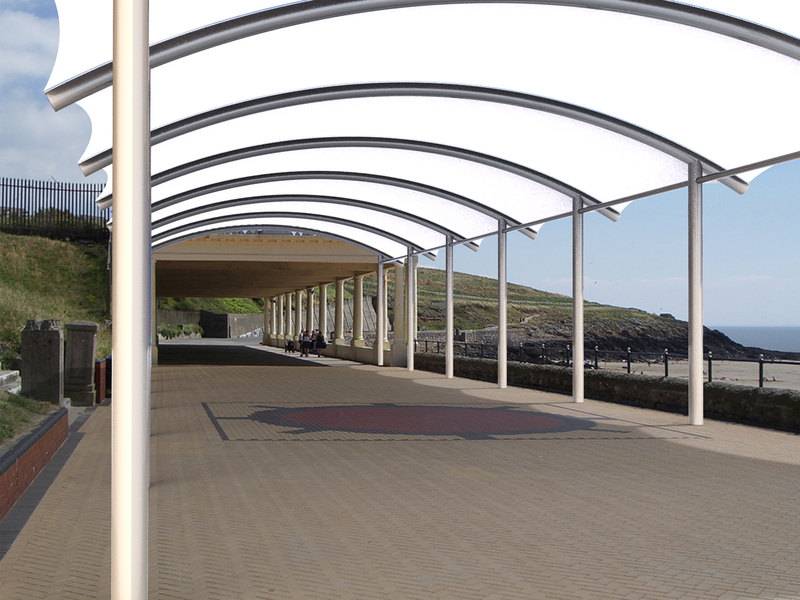 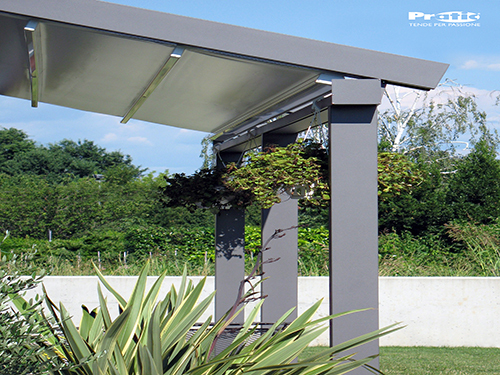 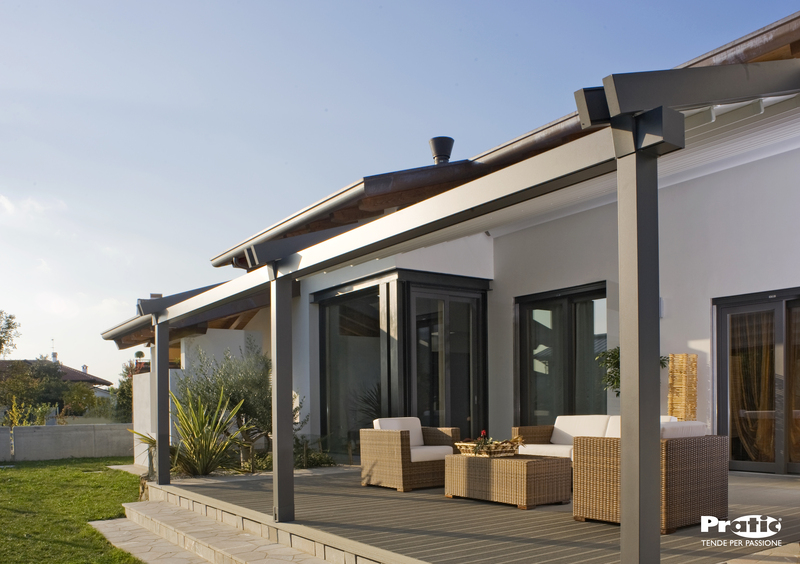 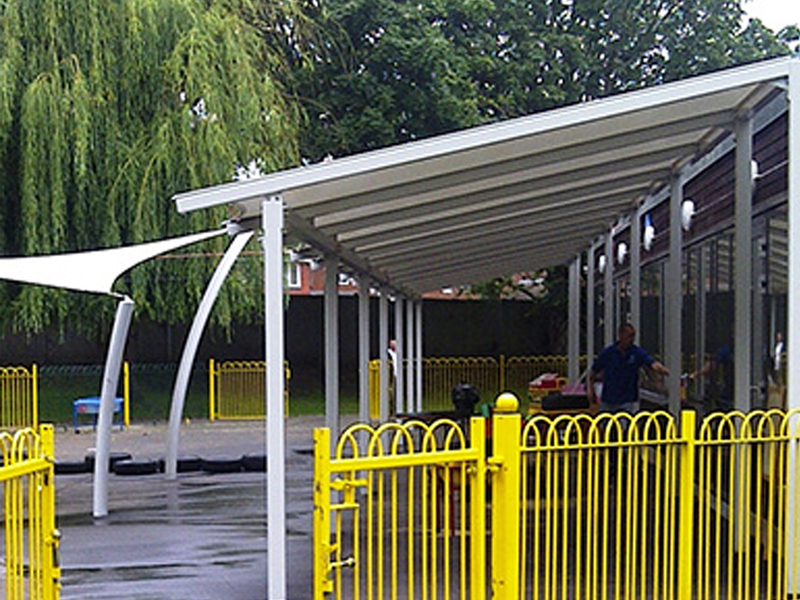 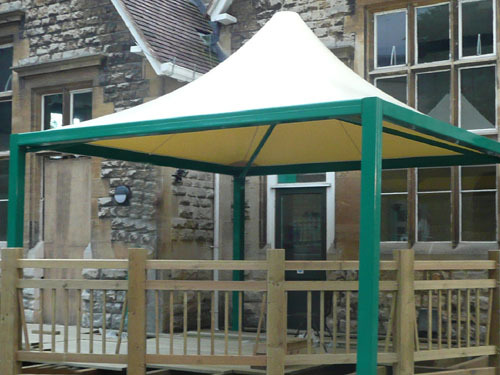 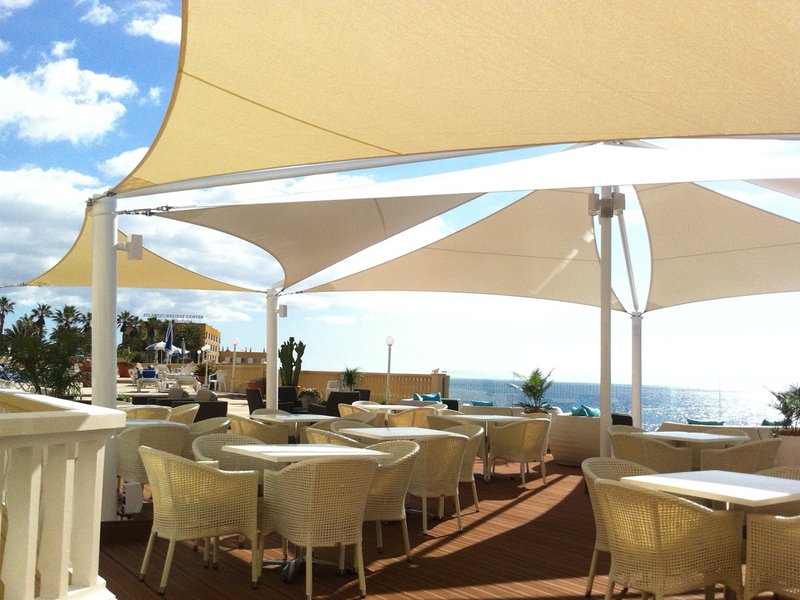 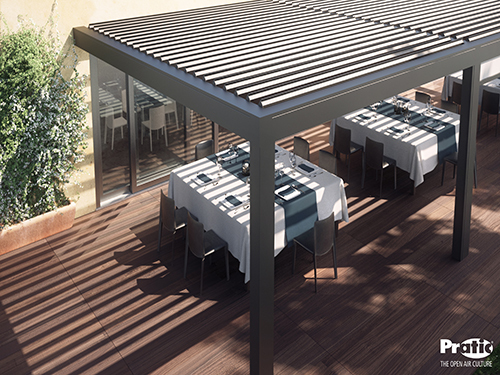 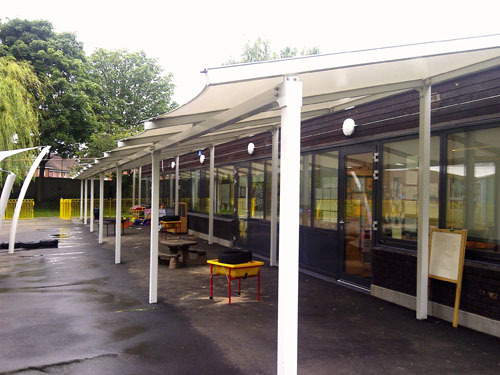 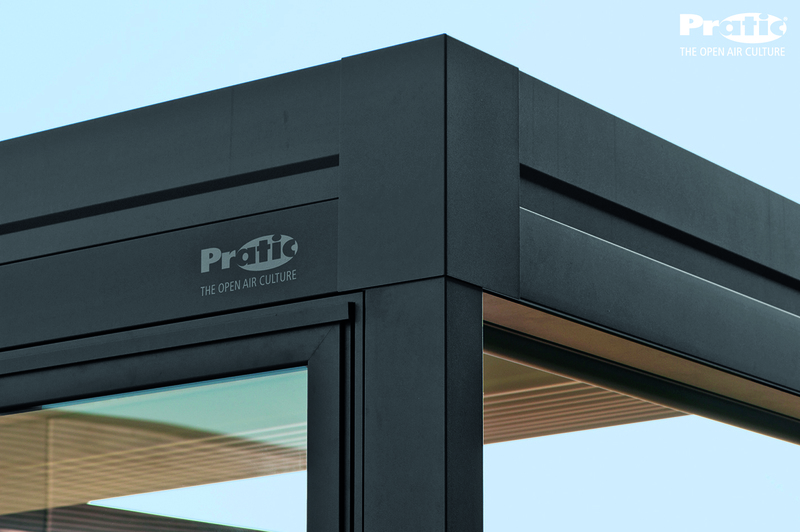 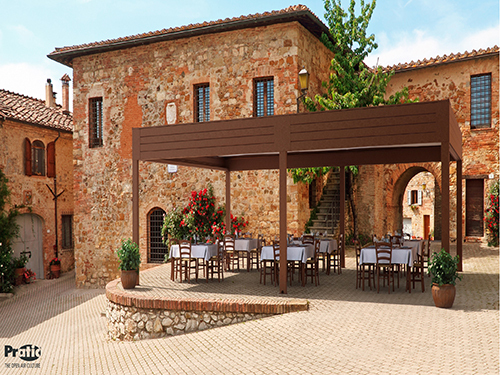 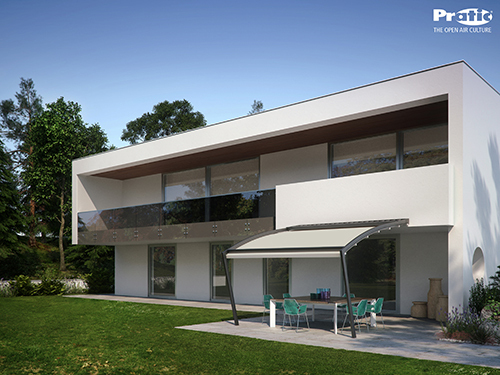 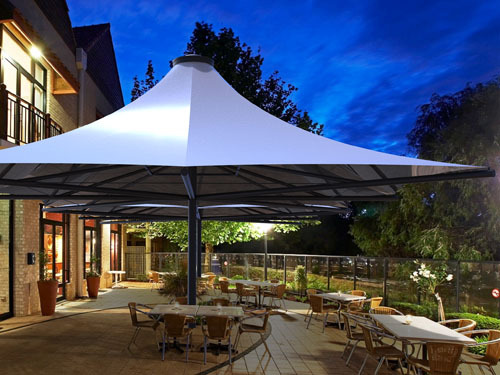 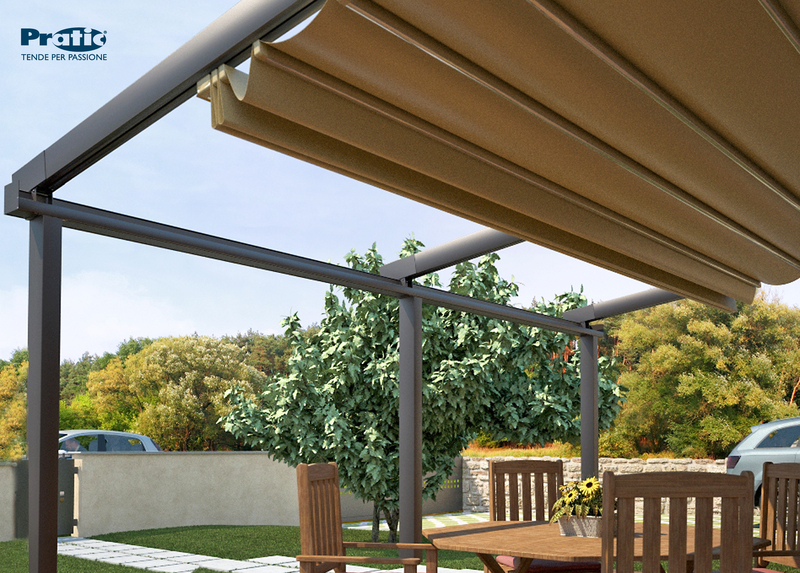 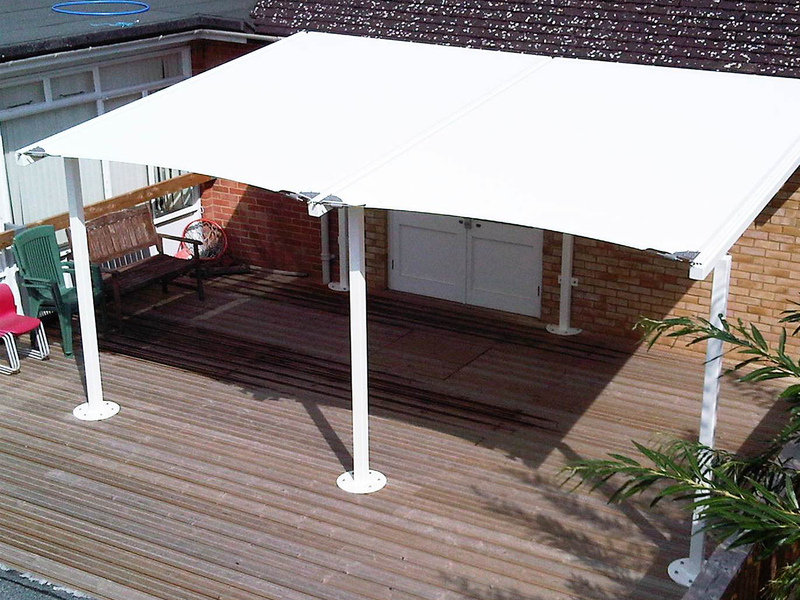 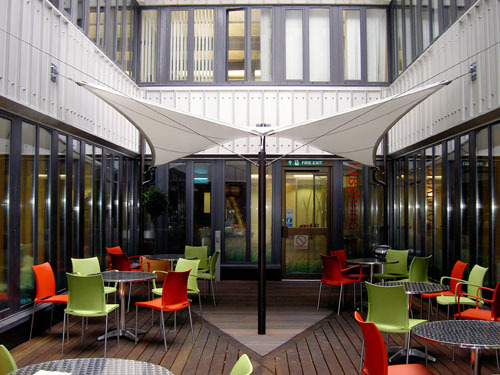 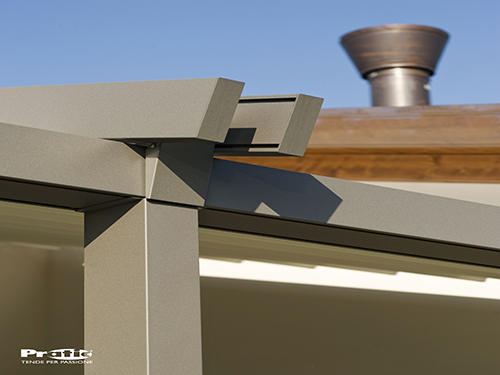 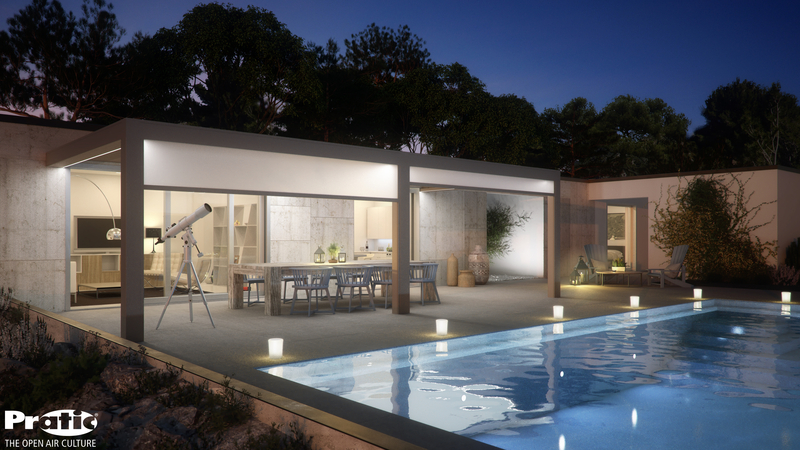 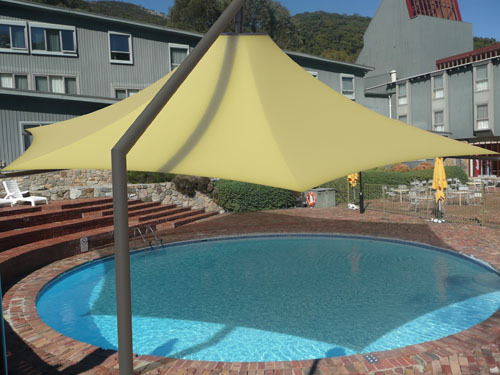 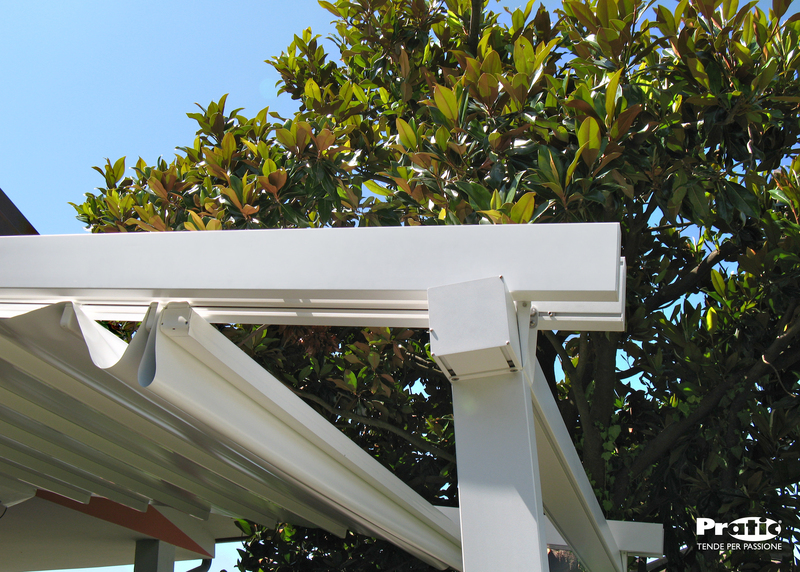 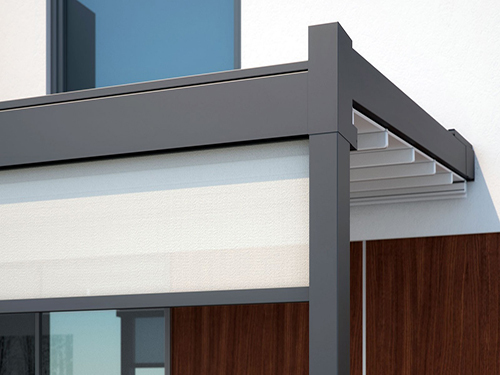 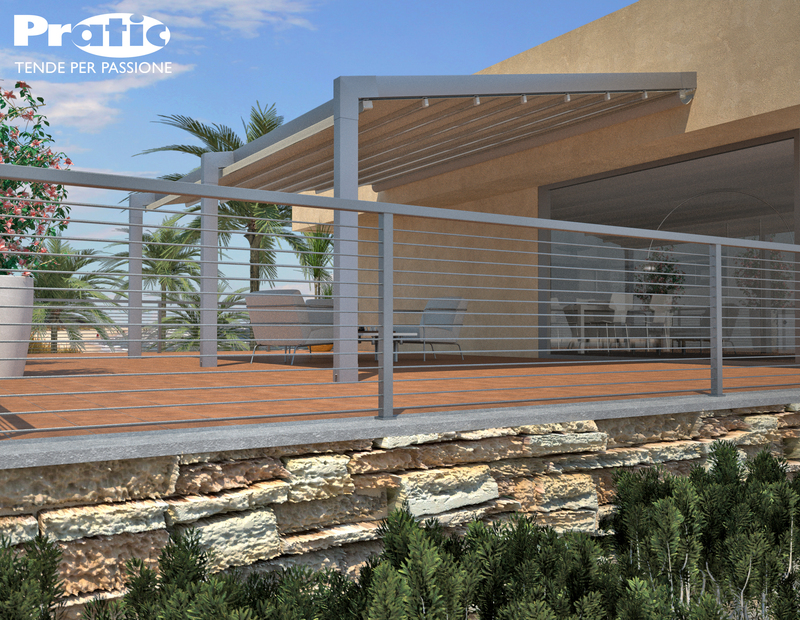 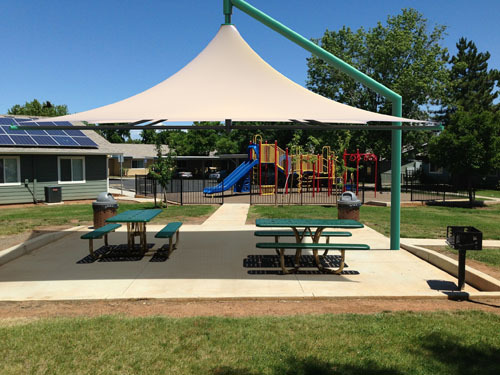 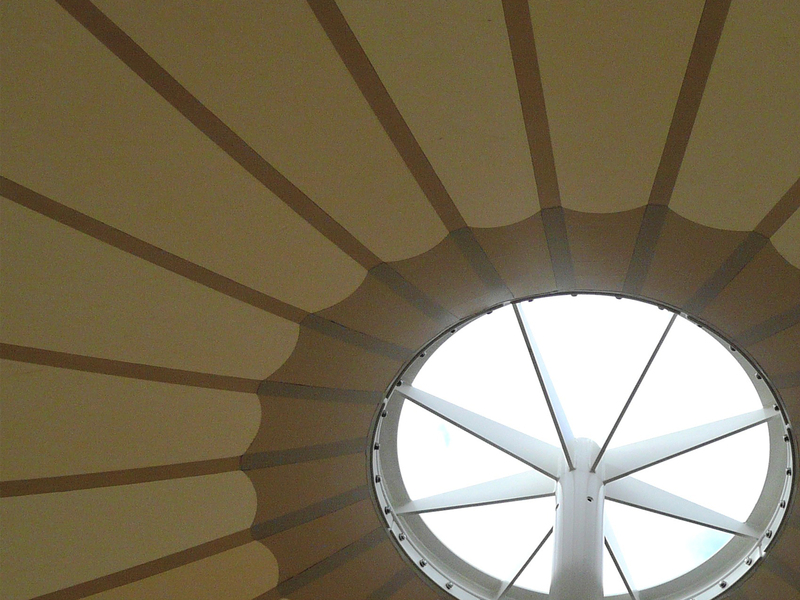 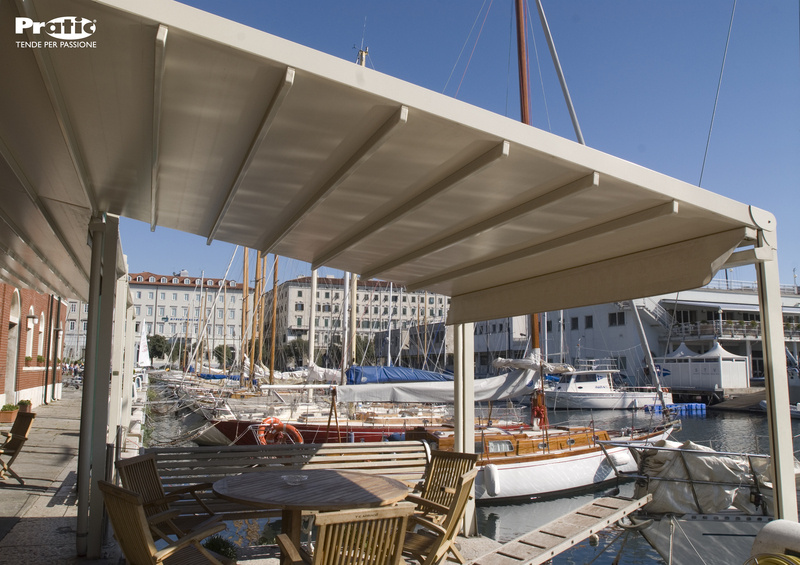 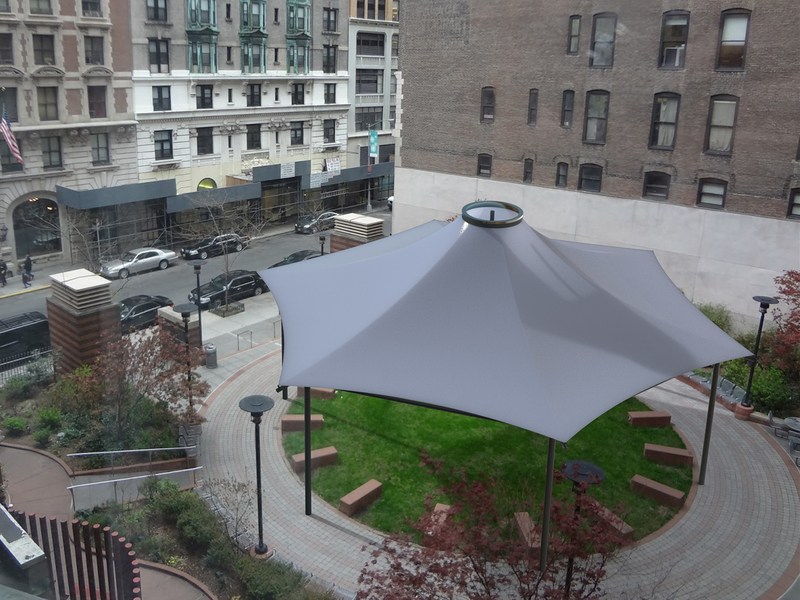 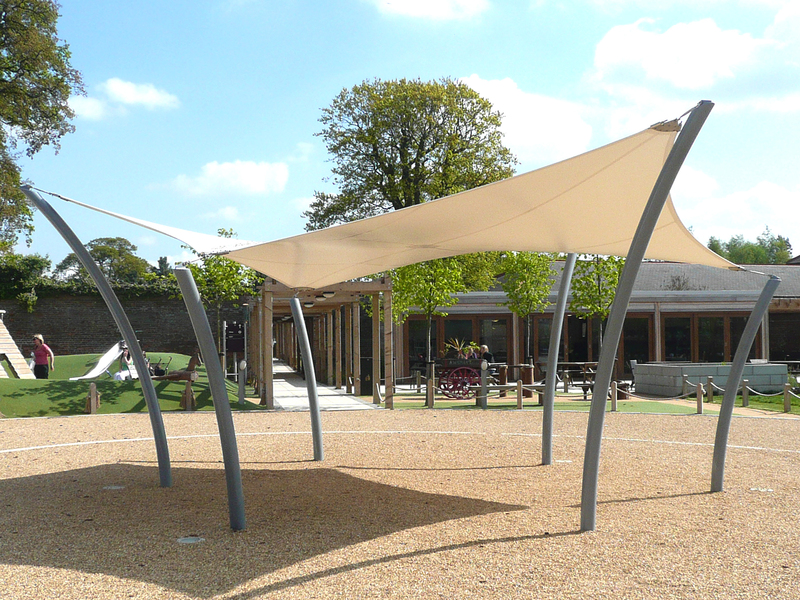 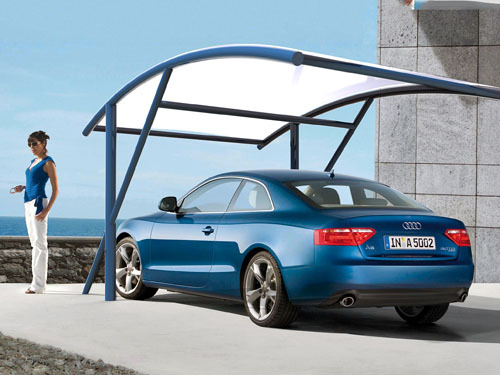 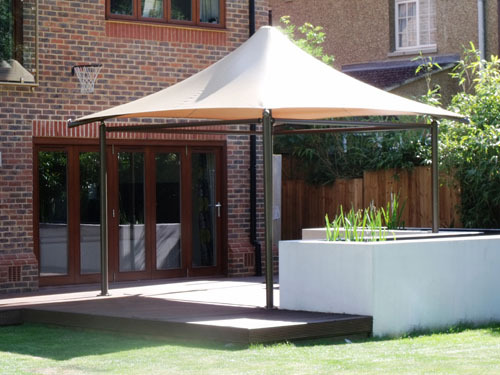 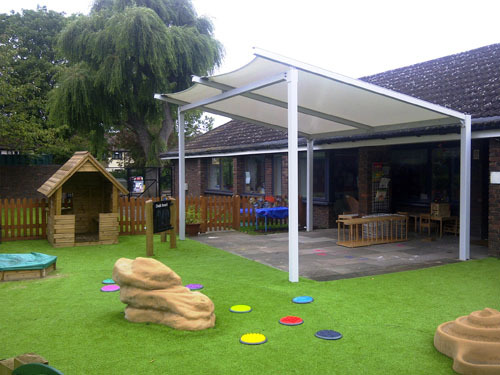 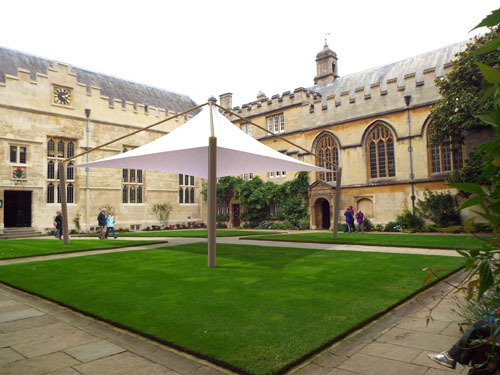 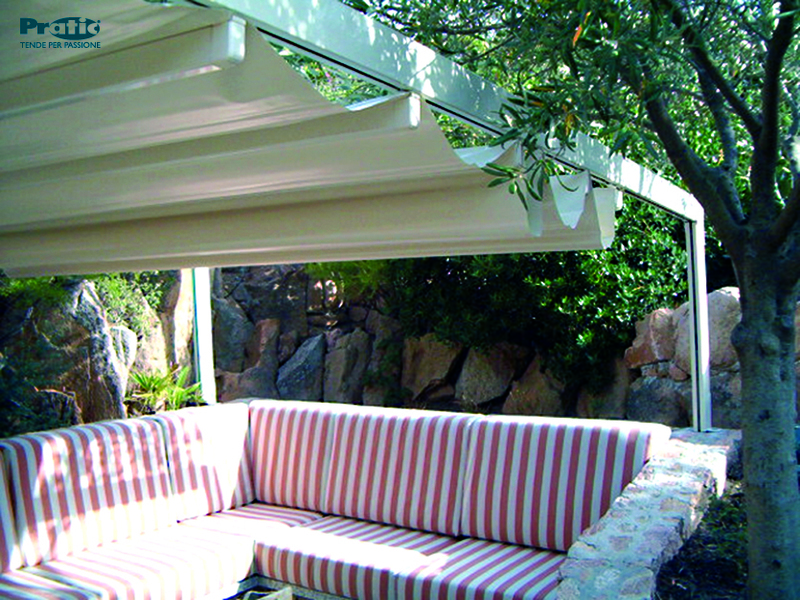 We offer complete fabric architecture solutions that provide sun shade and shelter from the rain and wind; incorporating design, structural engineering, manufacture, installation and aftercare. 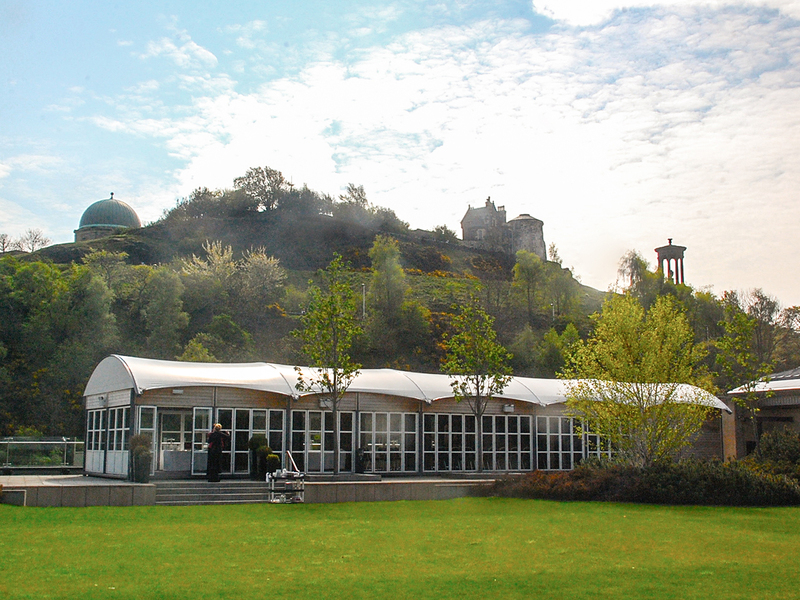 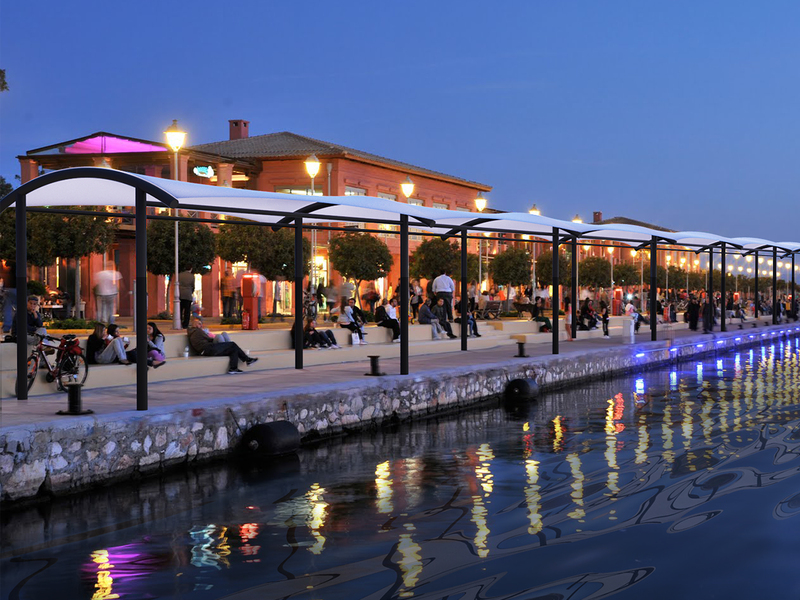 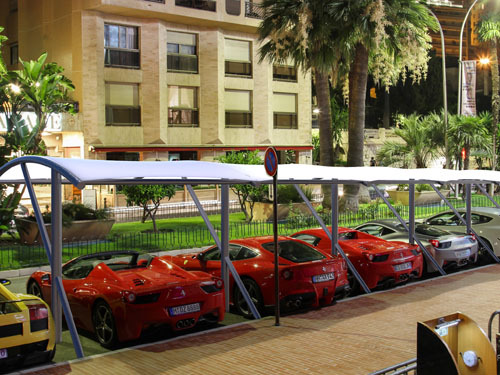 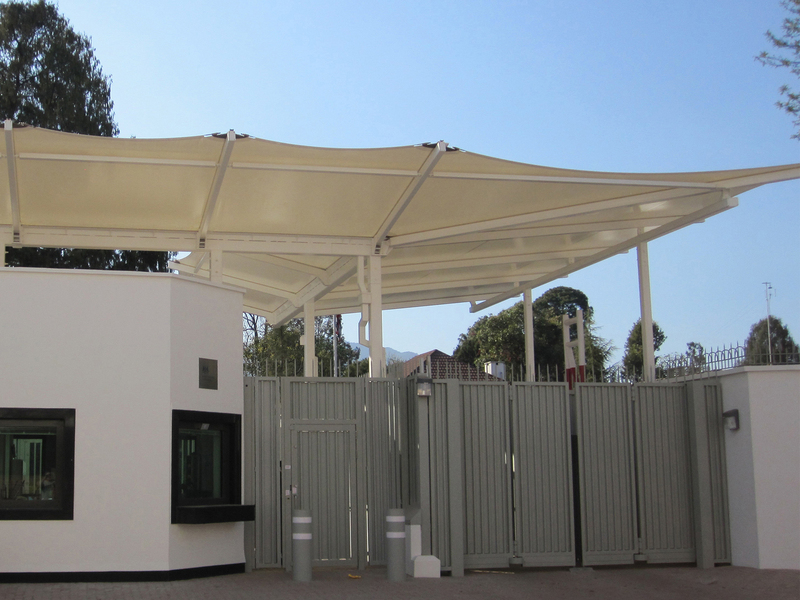 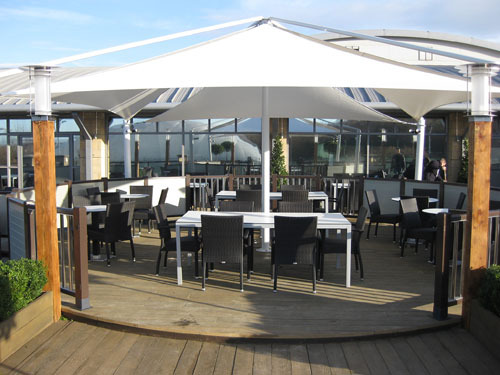 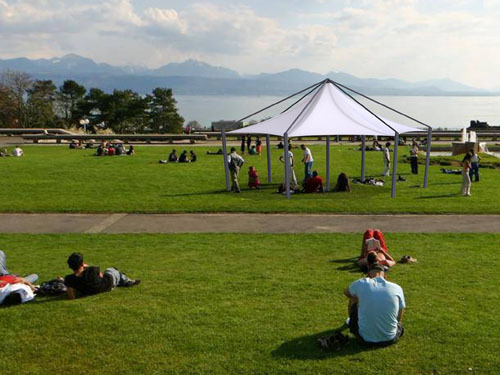 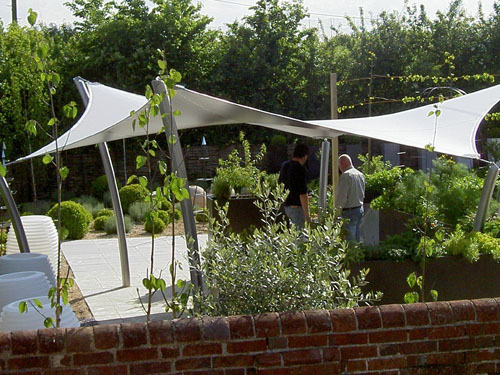 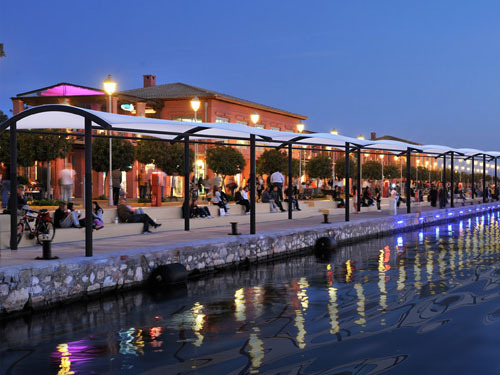 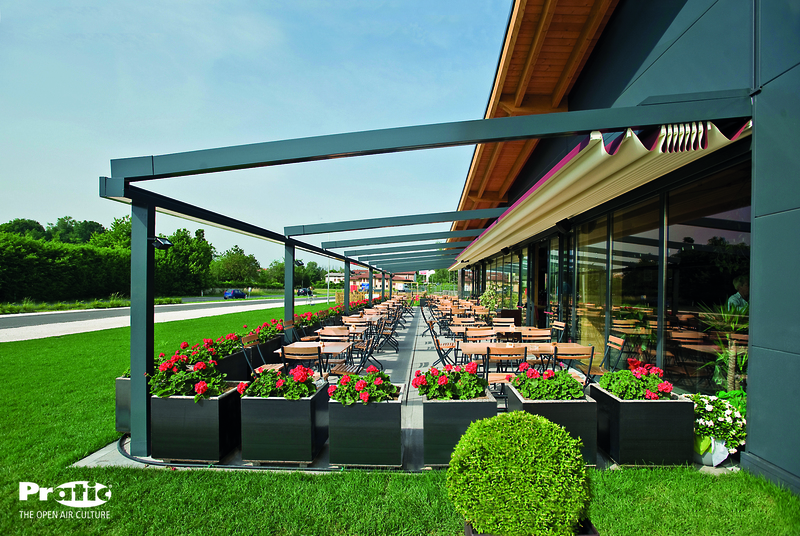 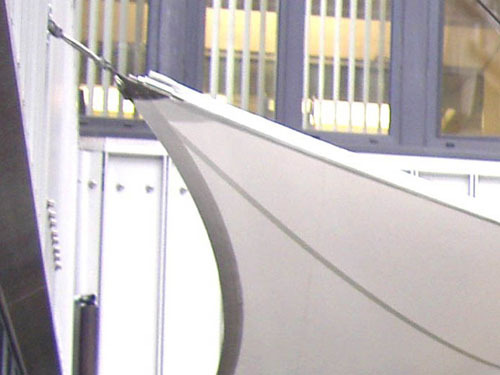 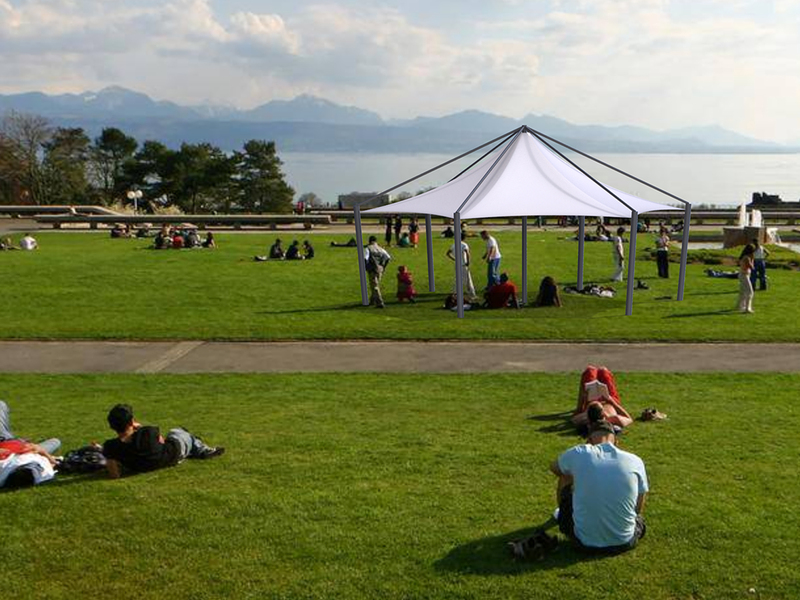 ArcCan are leading UK specialists in the design and manufacture of bespoke tensile fabric structures including: Shade Sails, Commercial Awnings and Canopy Shade Structures. 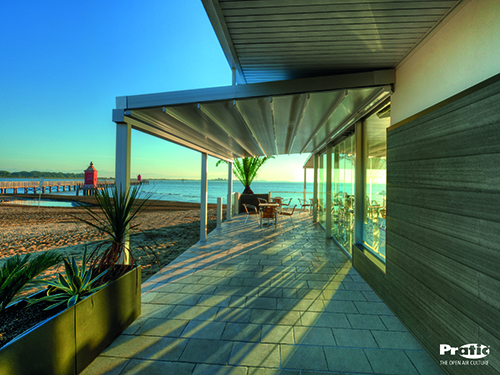 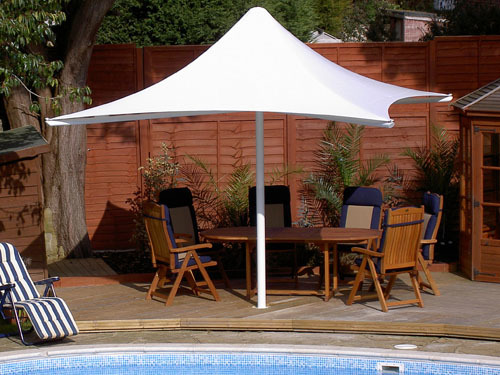 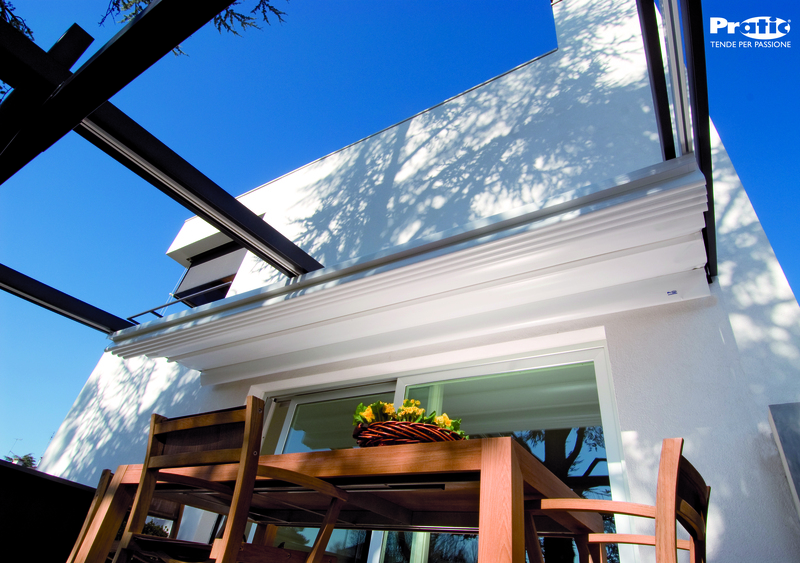 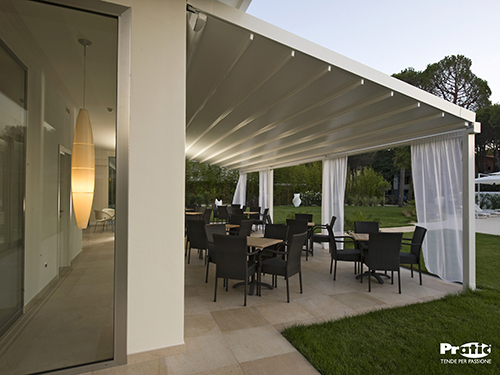 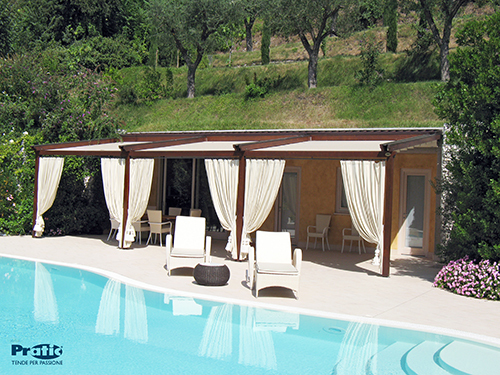 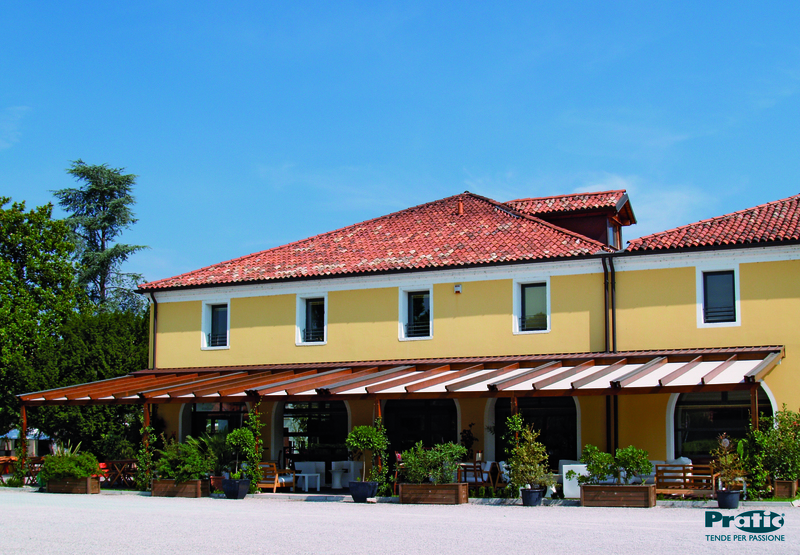 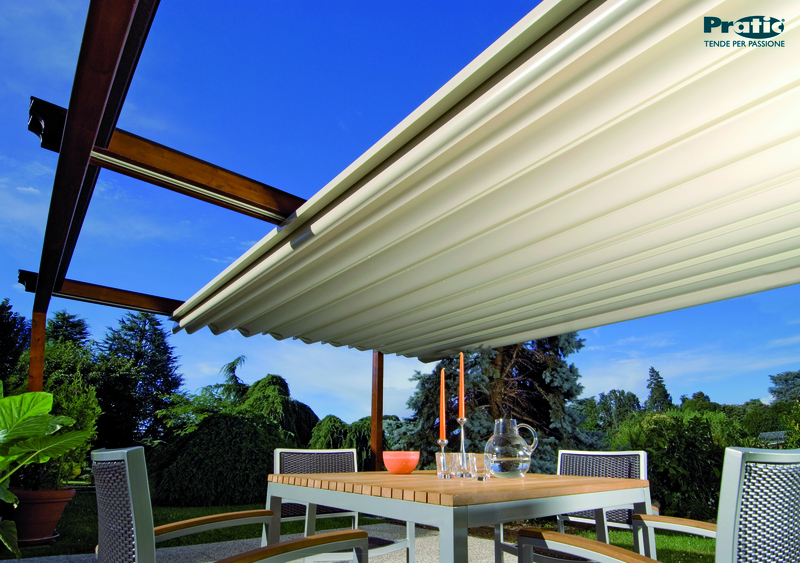 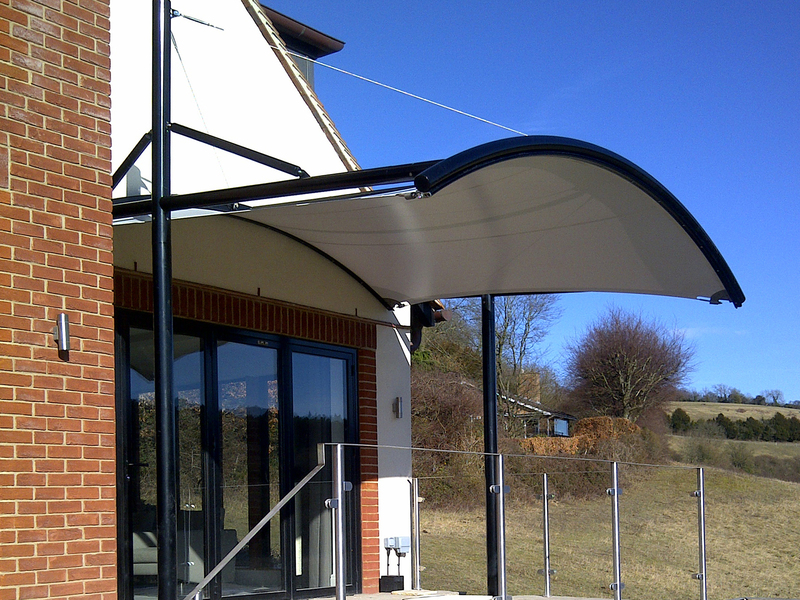 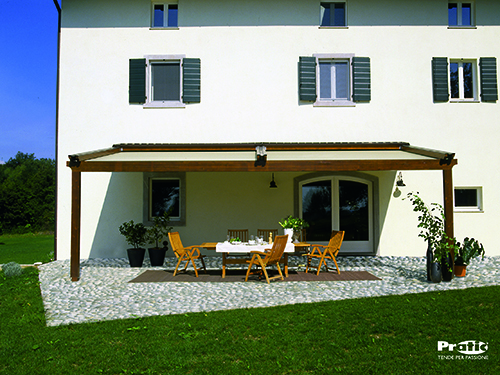 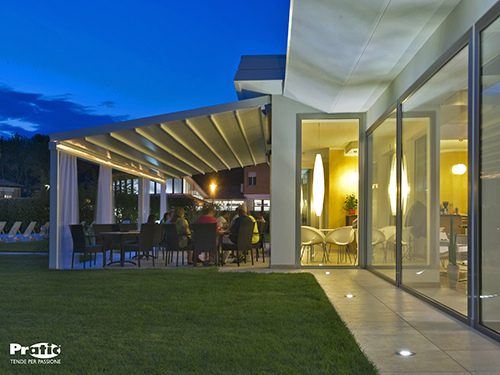 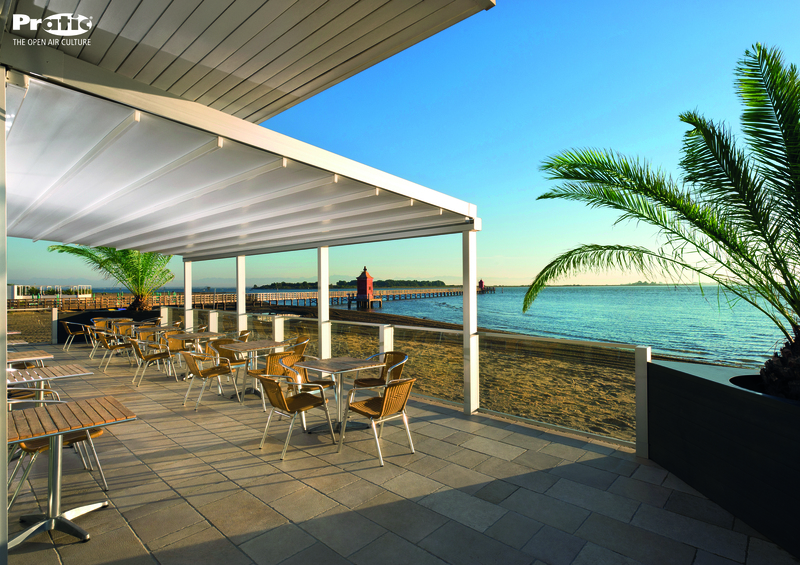 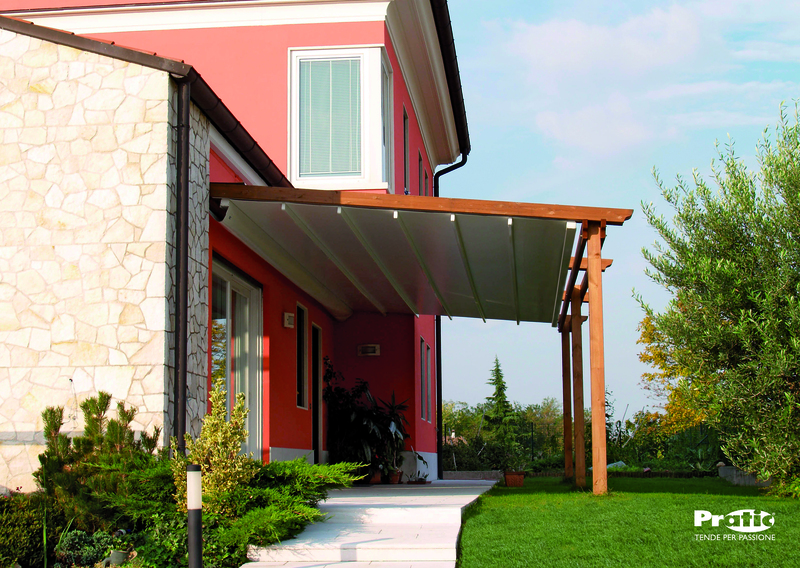 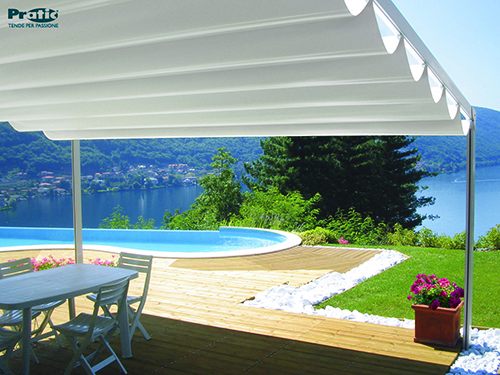 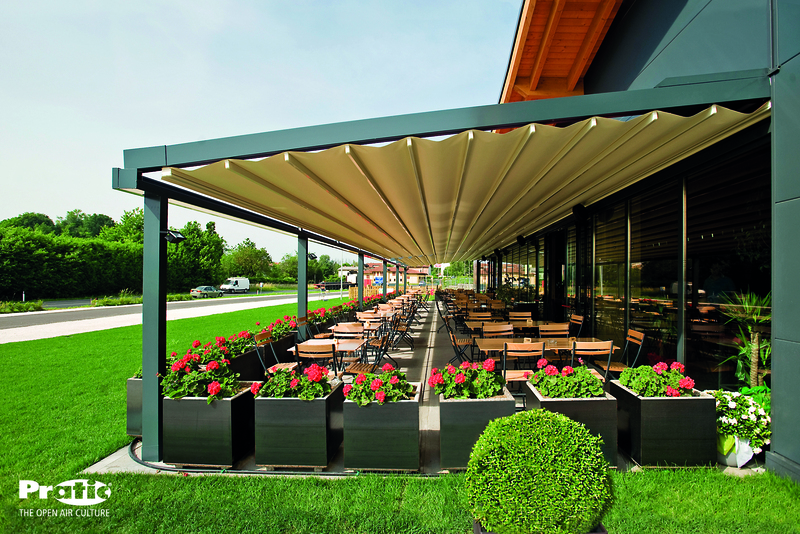 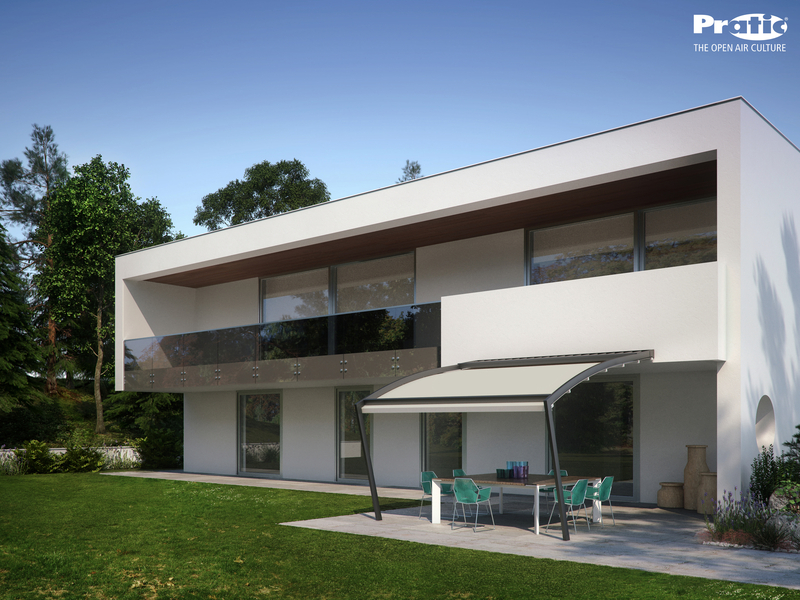 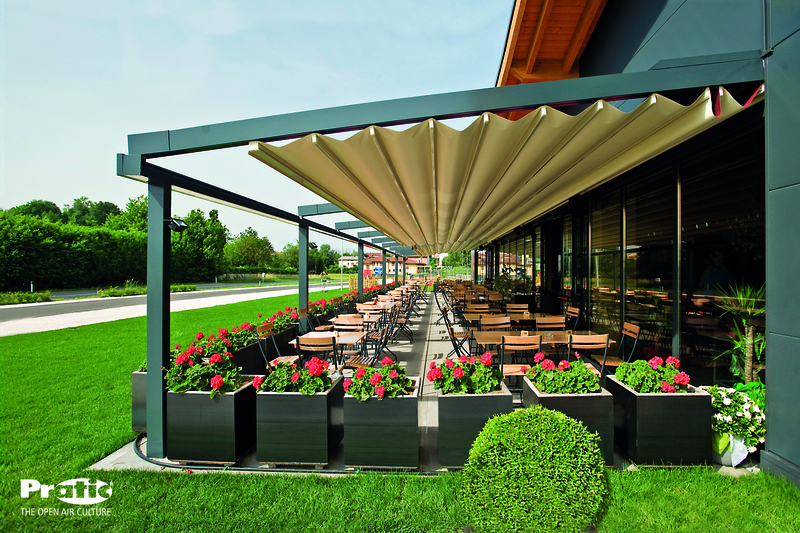 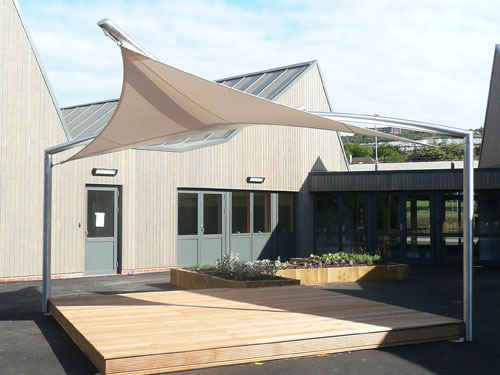 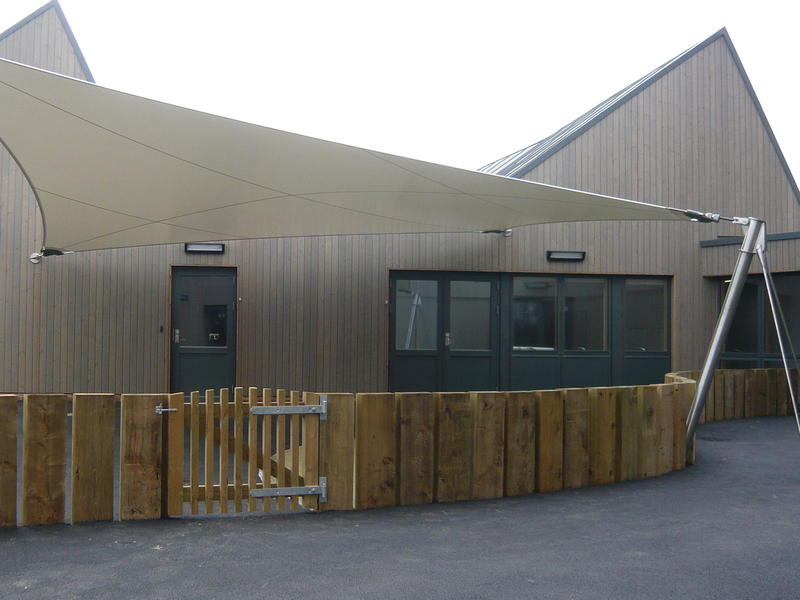 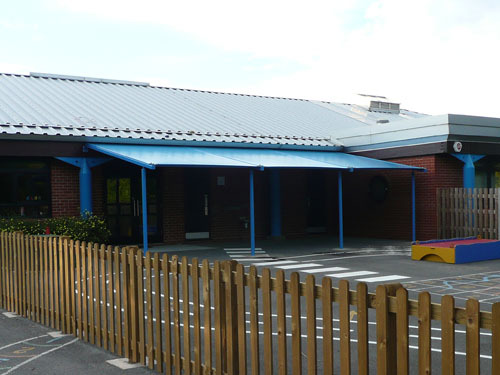 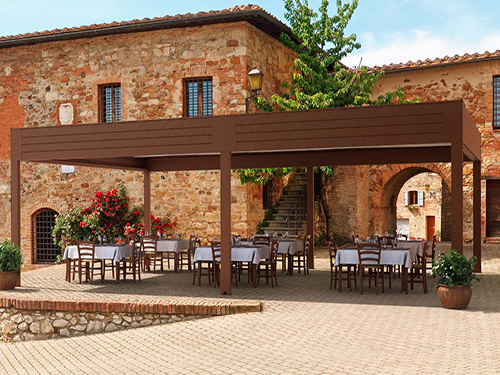 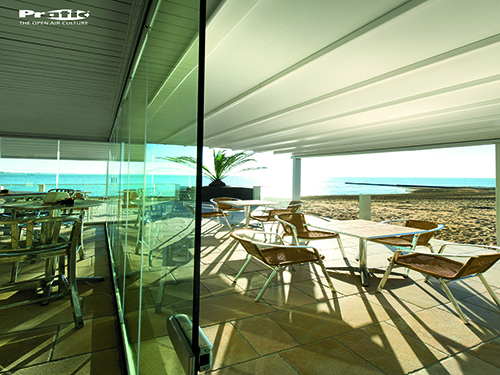 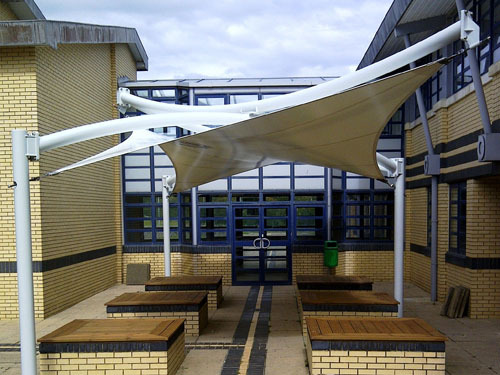 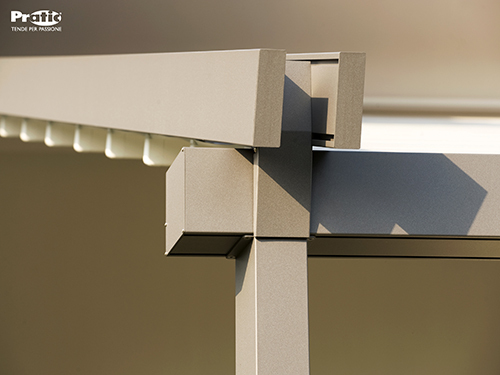 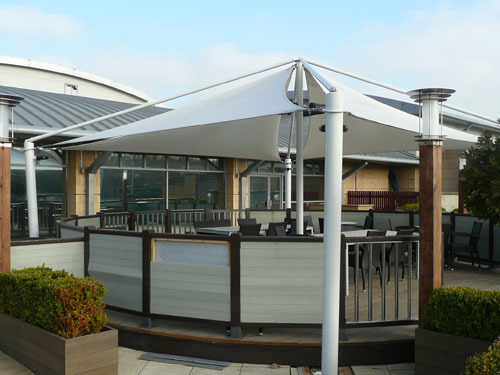 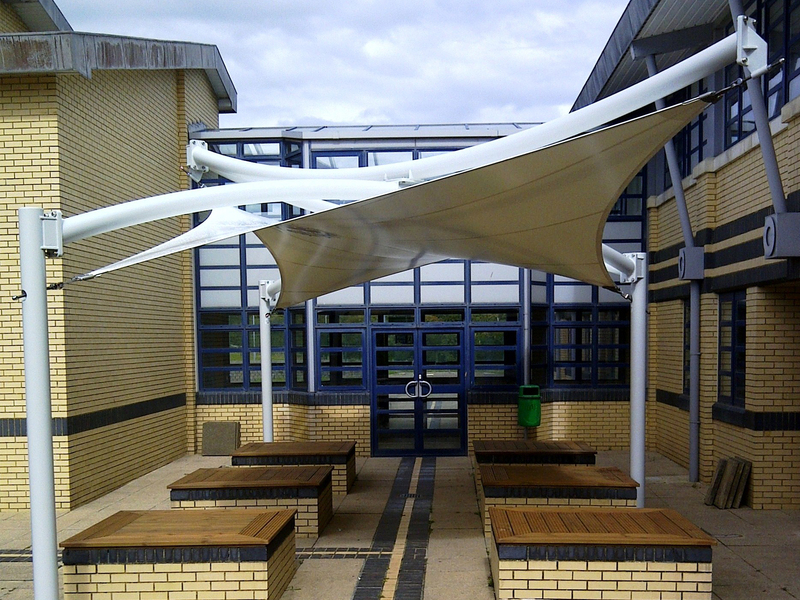 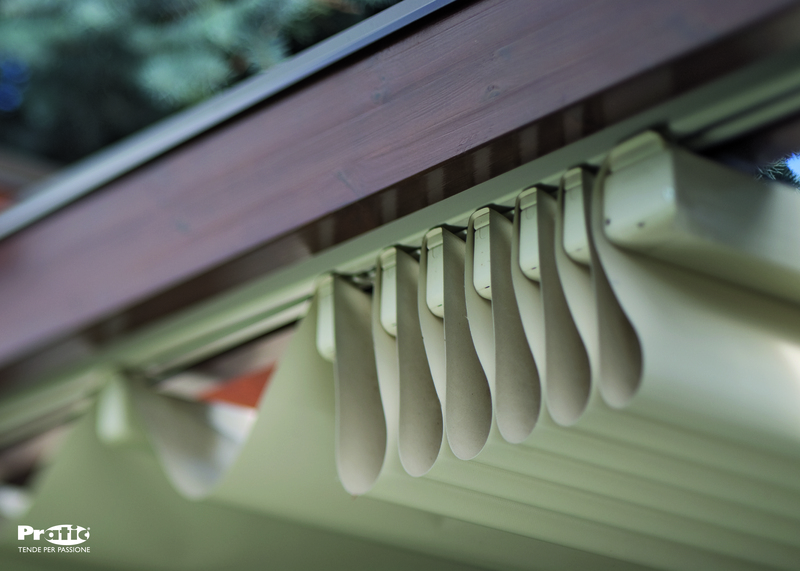 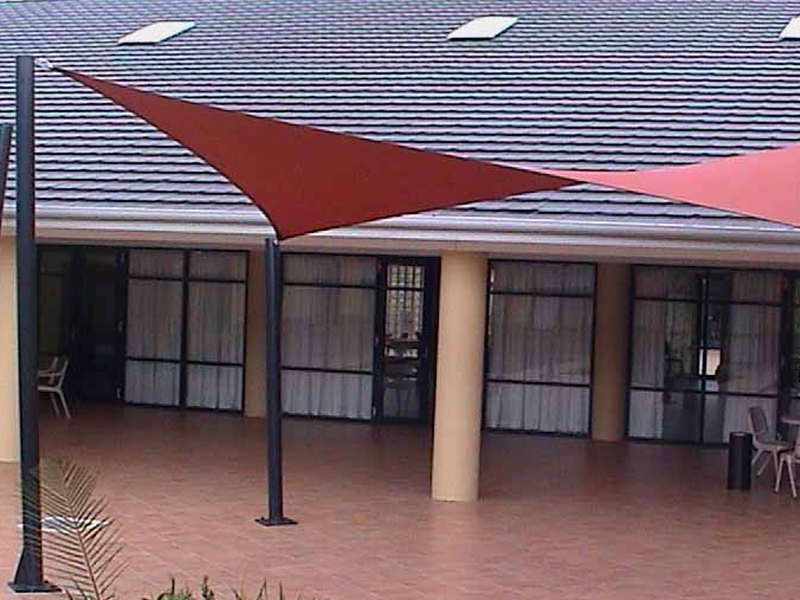 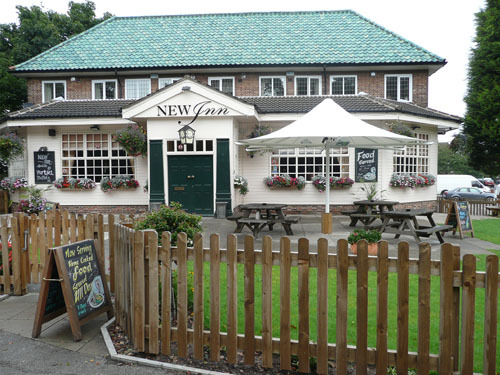 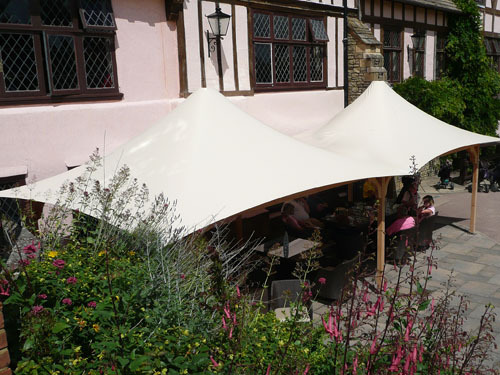 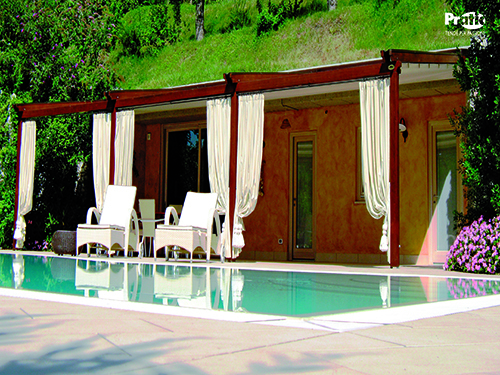 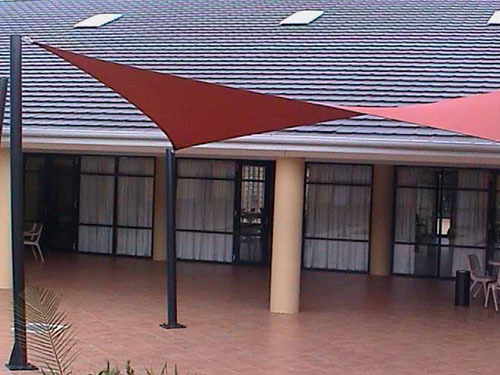 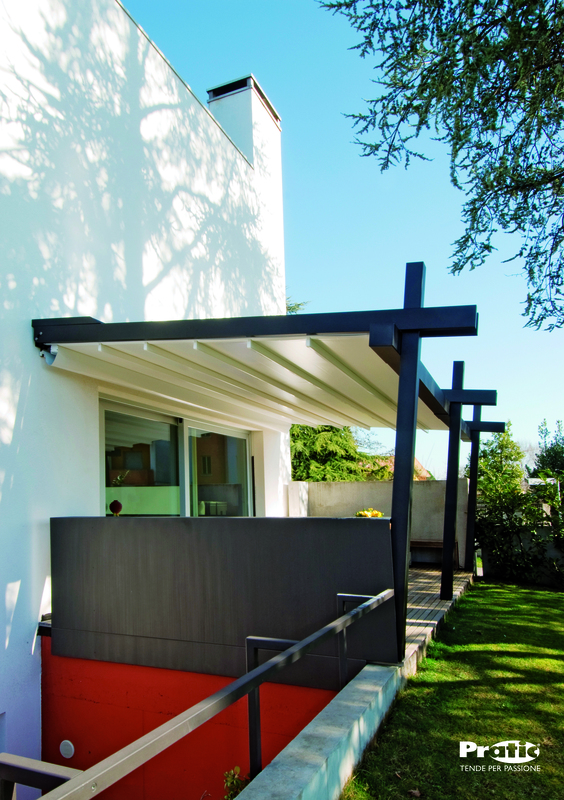 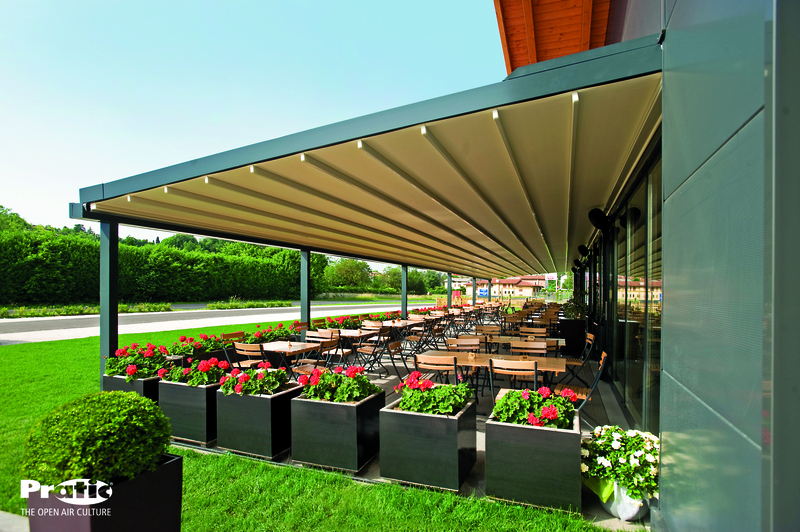 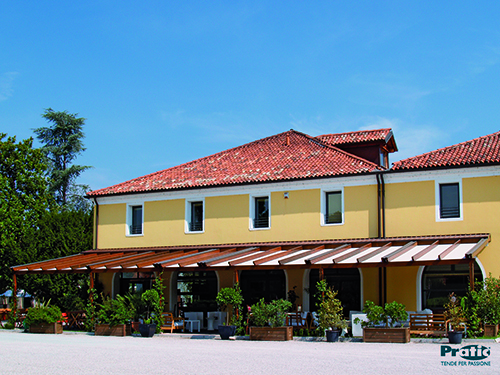 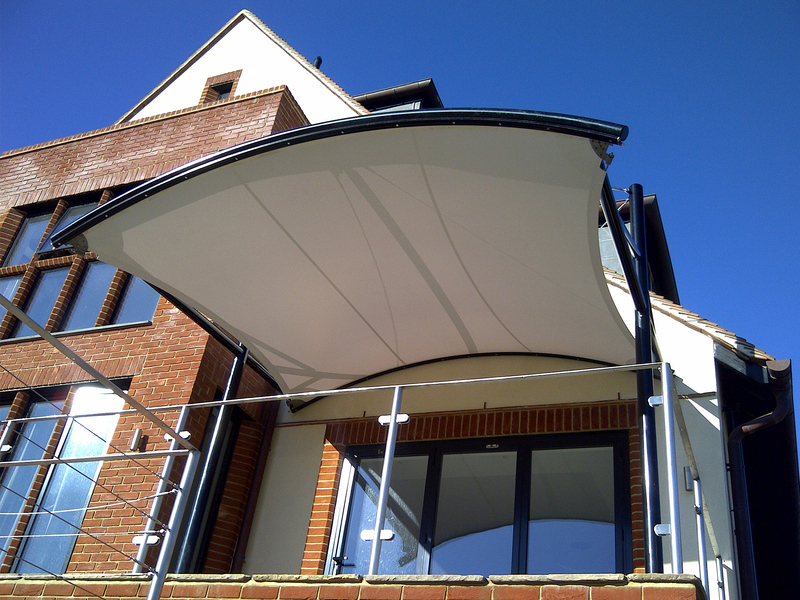 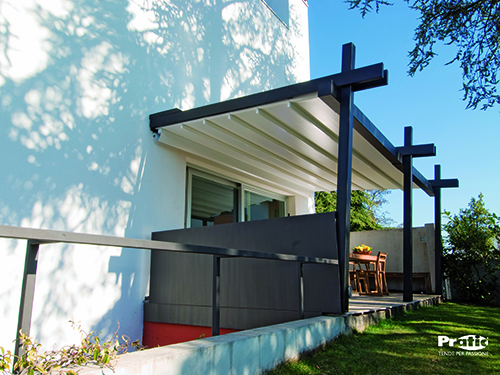 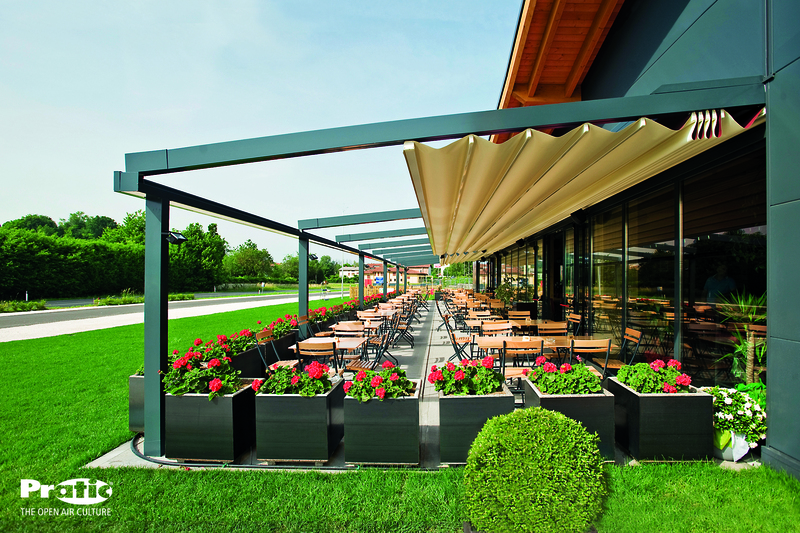 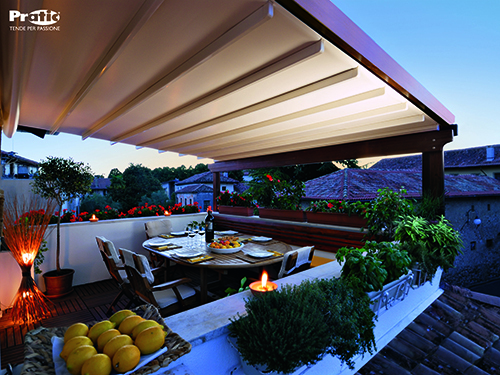 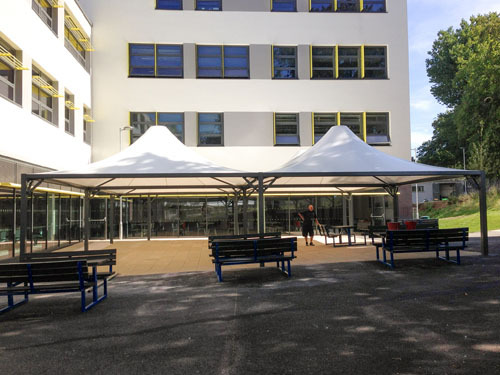 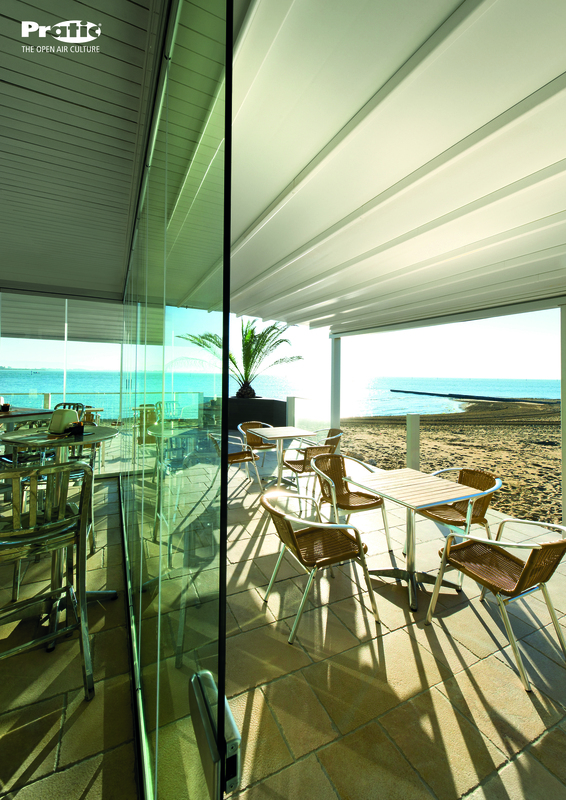 Utilising architectural fabrics under tension, we have, in the last ten years, created an unrivalled range of lightweight but permanent all-weather Awnings, Shade Sails & shade structures for homes, schools, colleges, hotels, government authorities, retail and commercial enterprises. 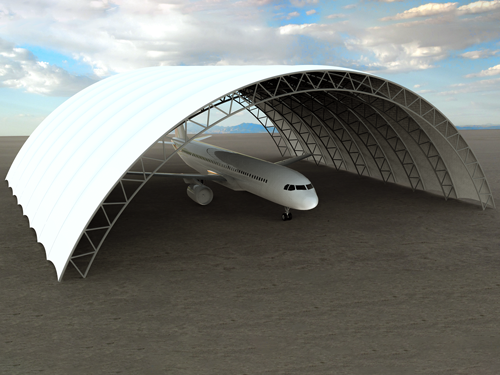 We have designed many bespoke iconic shade structures, including huge cable-net and cantilever shade sails for commercial & military aircraft. ArcCan responded well to our brief and their designs exceeded our expectations. 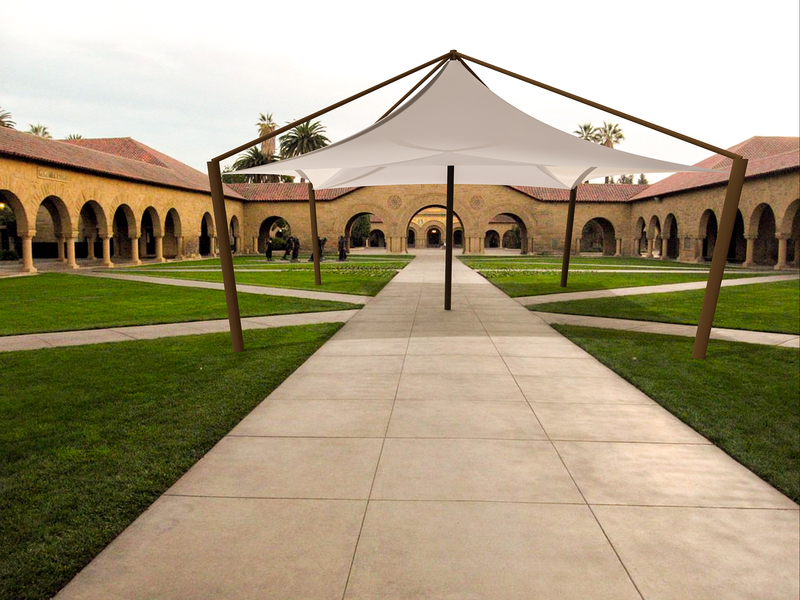 The design was exactly as we wished. 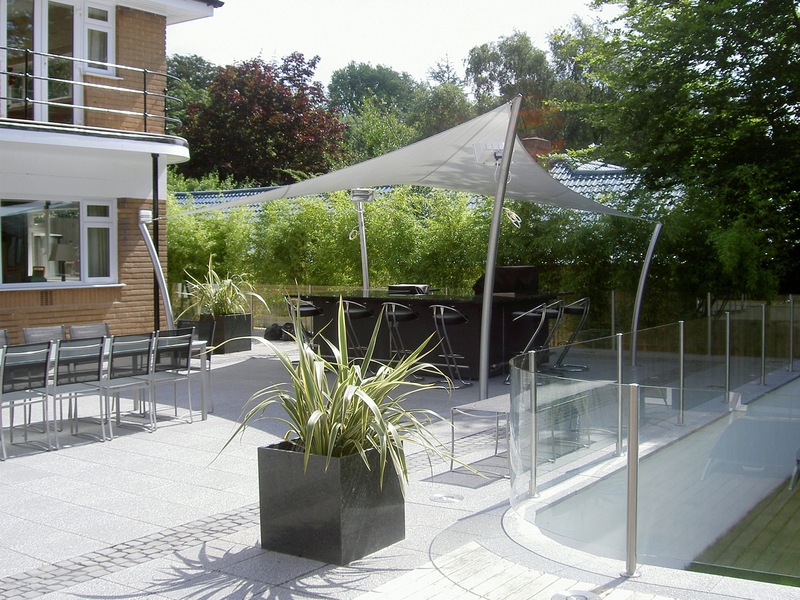 They delivered to an extremely tight programme whilst ensuring that all statutory regulations were adhered to; including planning advice. 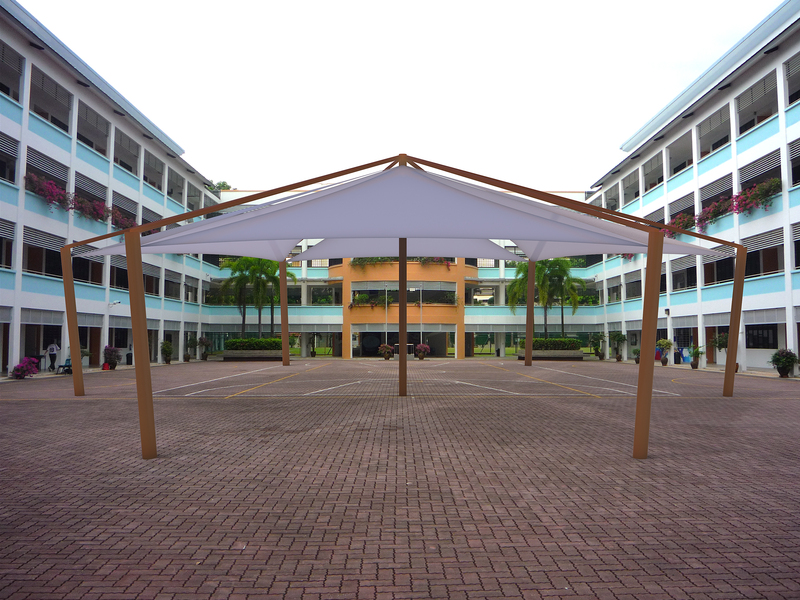 The installation was neat and straightforward and the canopies look really good. 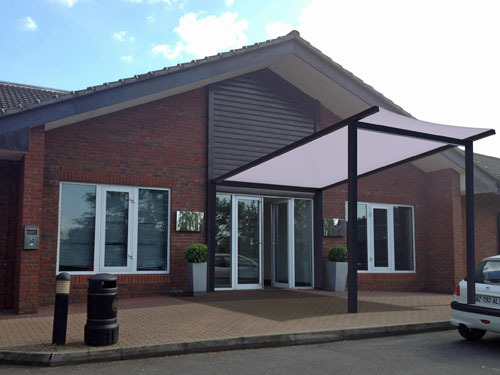 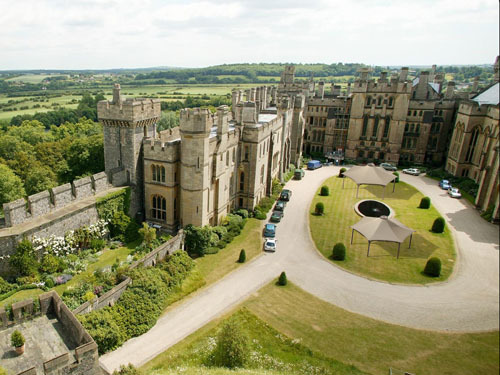 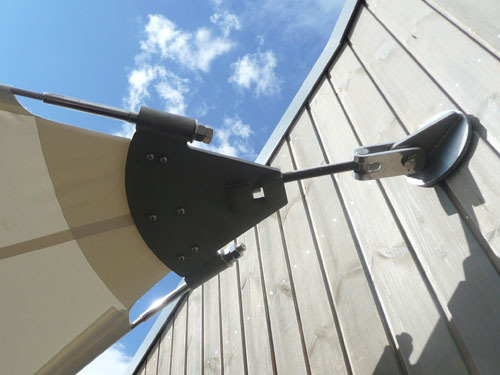 We have received several positive comments from customers and tenants alike and would not hesitate to use Arc-Can for any similar needs in future. 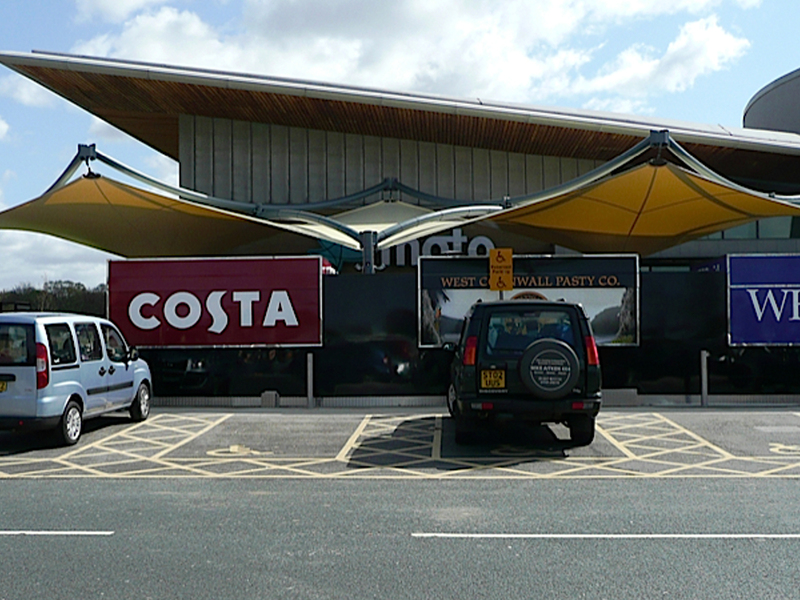 as we were on a tight timescale. 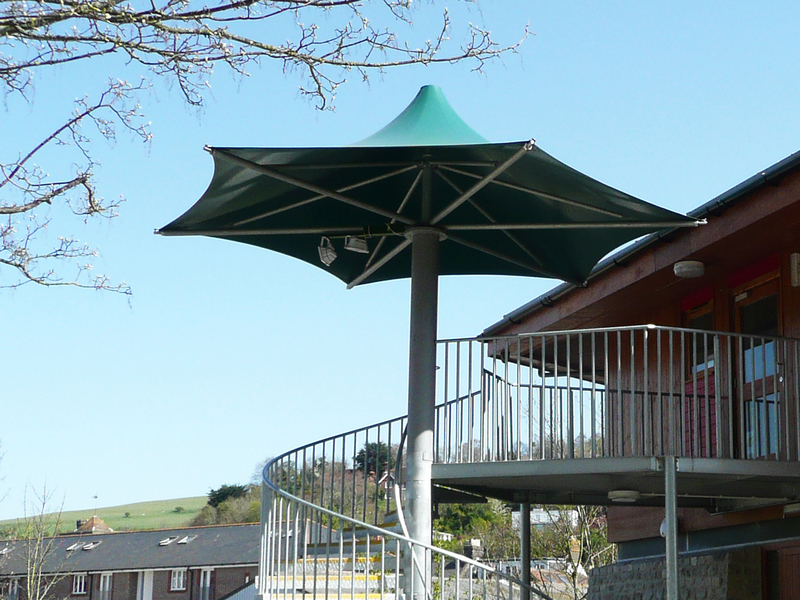 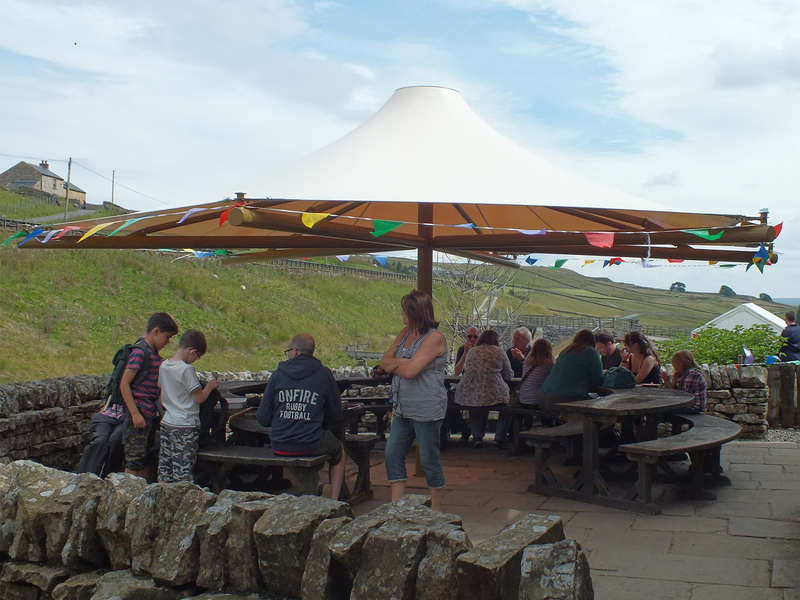 The umbrellas look great and we are really pleased with them! 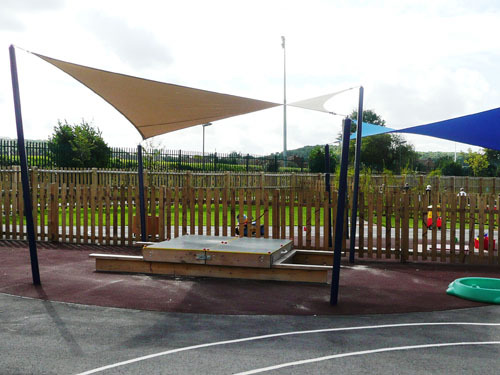 It looks fantastic and is a worthy addition to the facilities we have for children here at the Alex - Many thanks for all your collective hard work in making it happen! 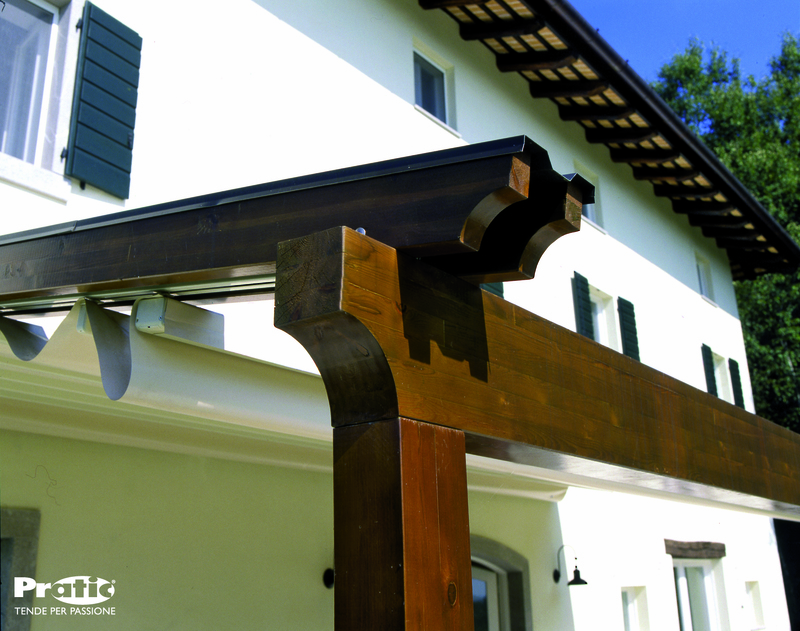 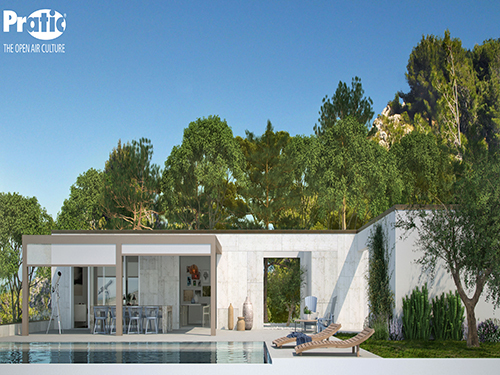 © In line with our policy of continuous product development, we reserve the right to change models, sizes and specifications without prior notice. 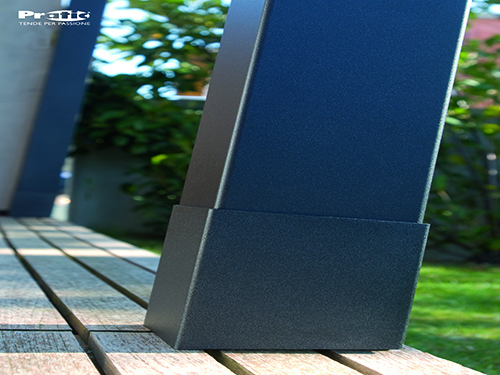 All orders placed will be for the currently available specification of the relevant item. 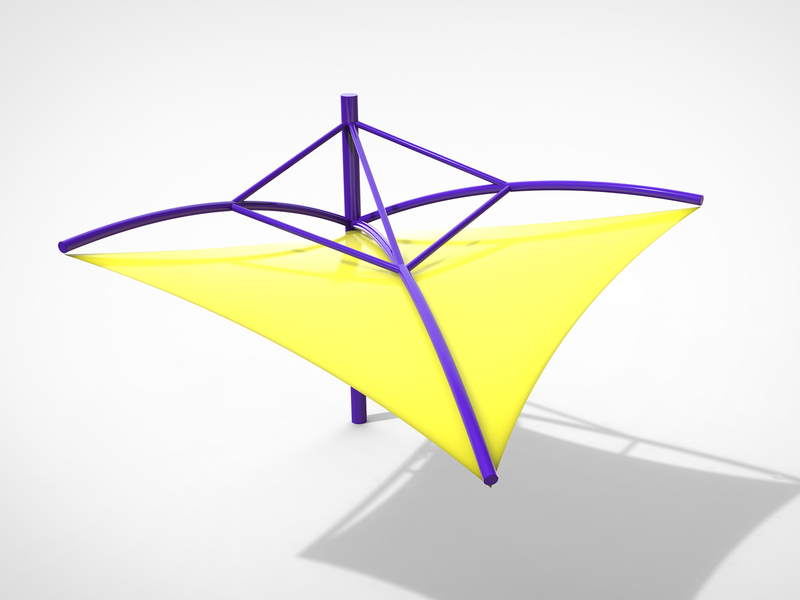 Design rights and copyrights apply to all products shown. No part of the publication can be copied or reproduced in any form whatsoever without prior consent of the publisher.